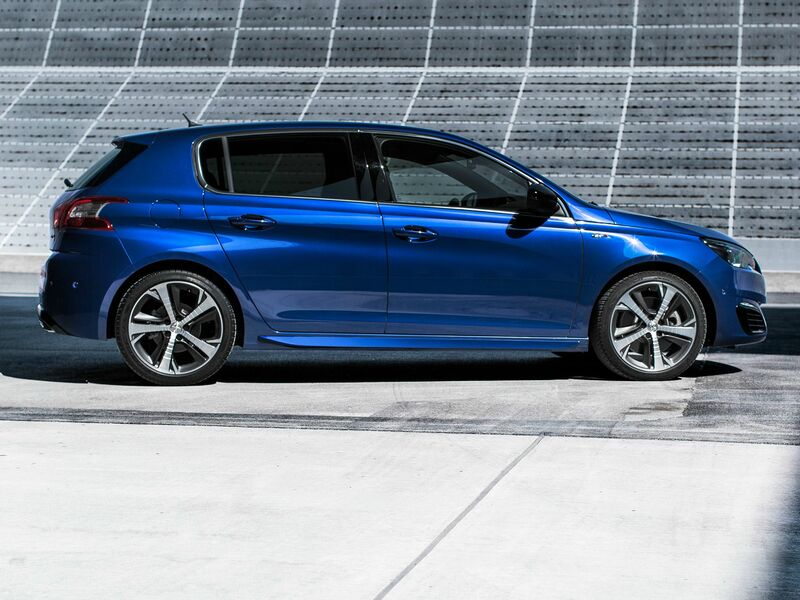 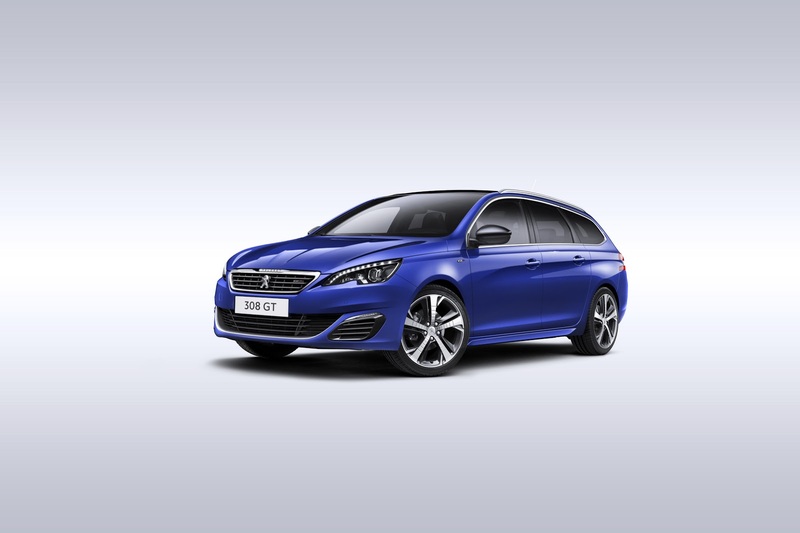 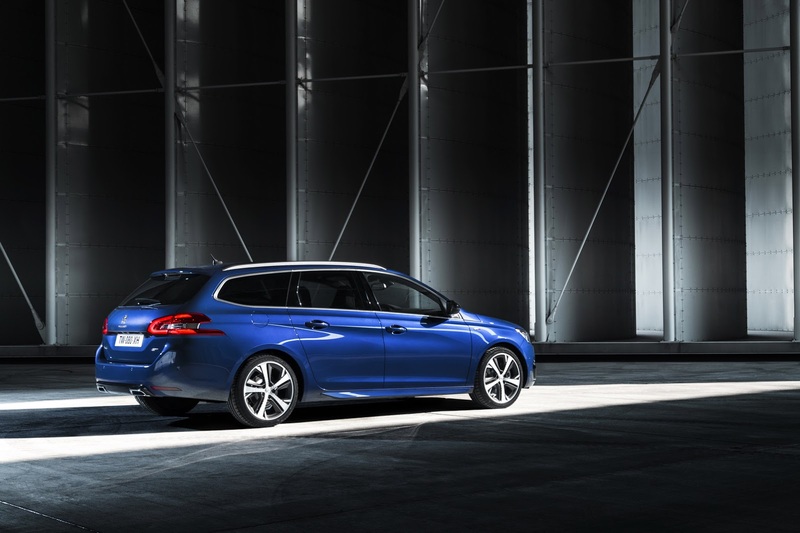 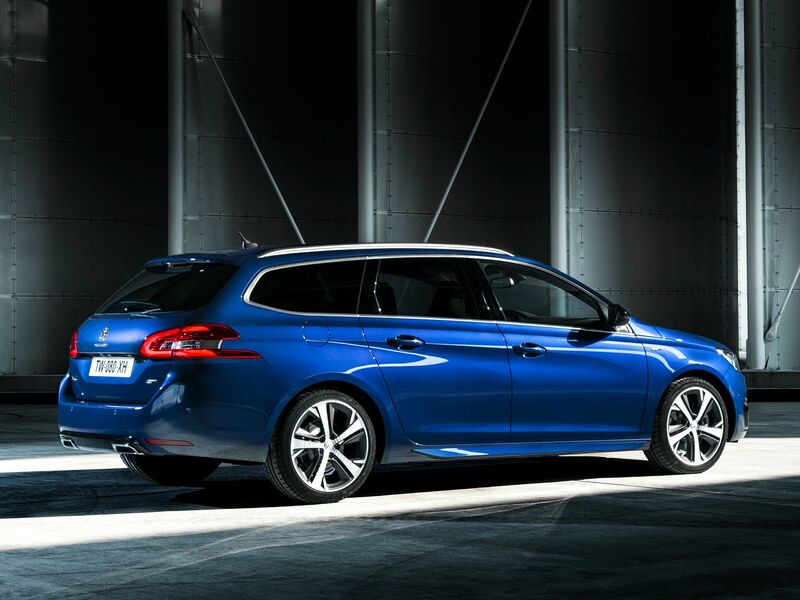 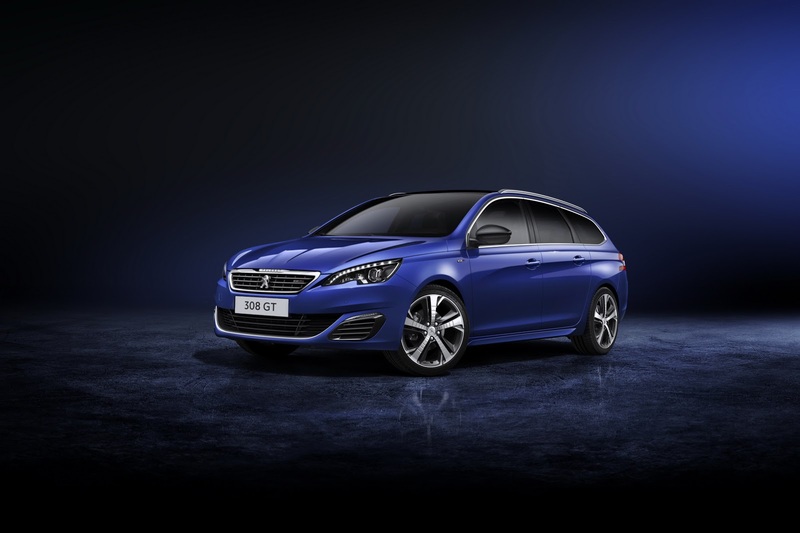 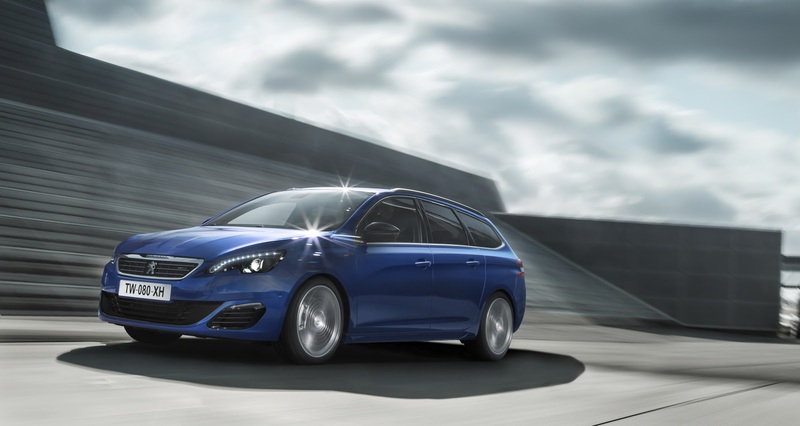 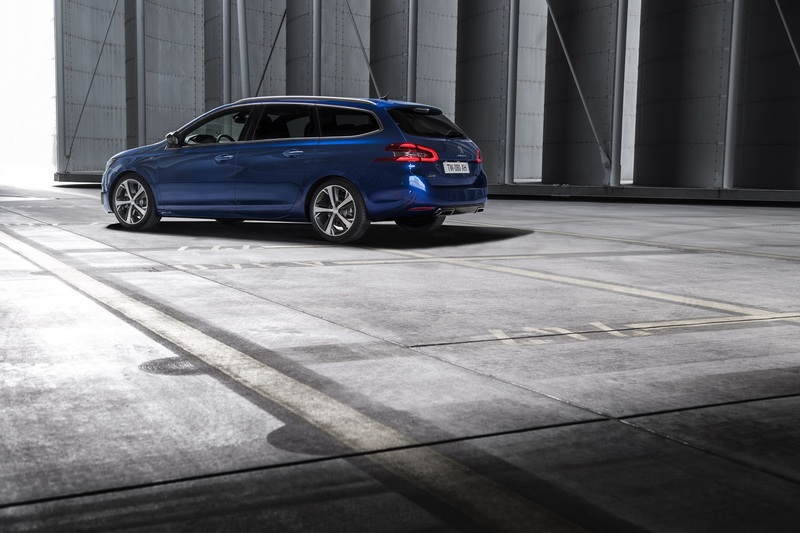 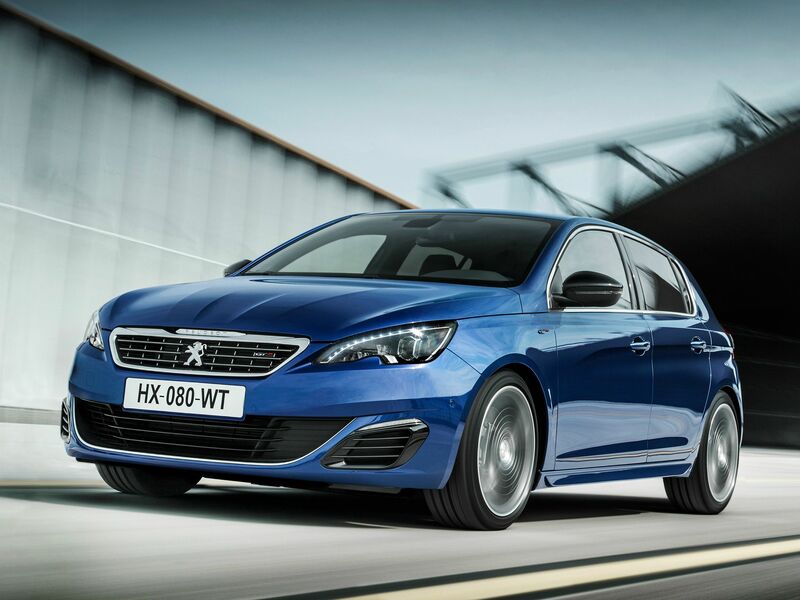 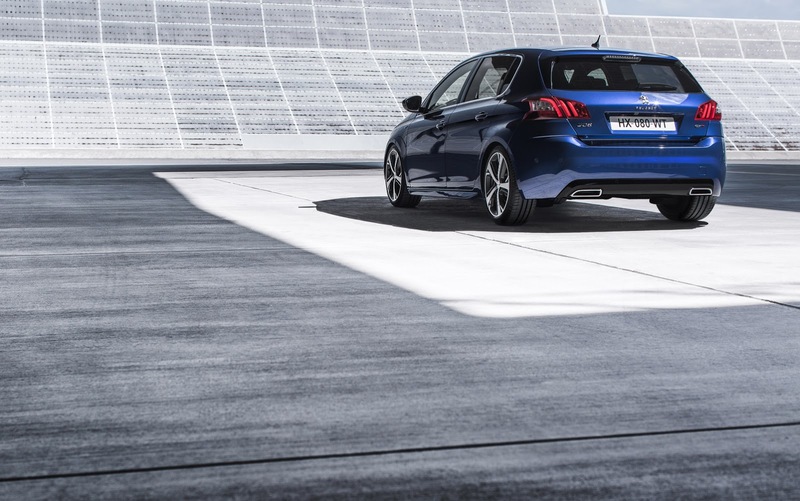 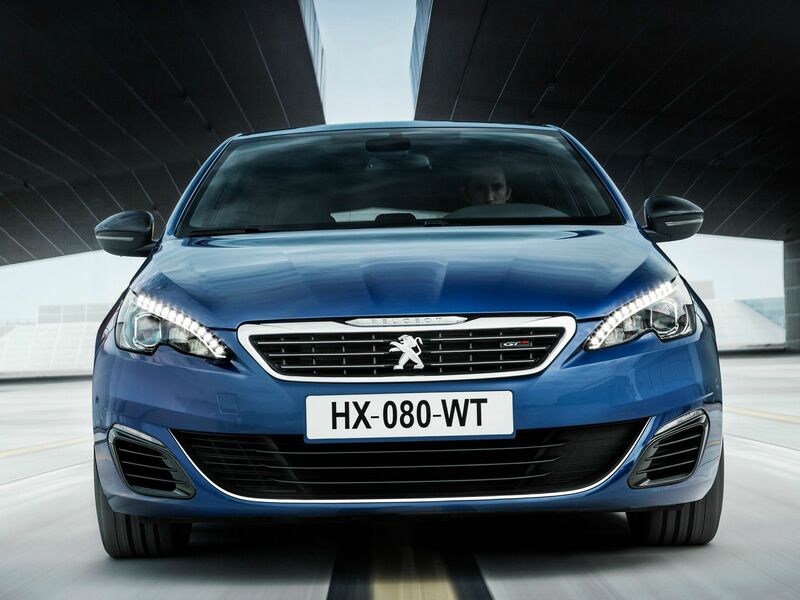 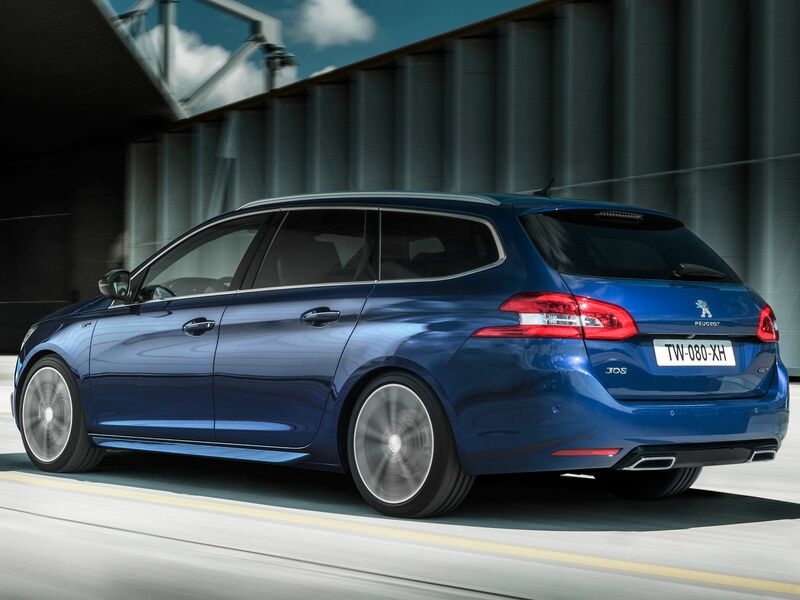 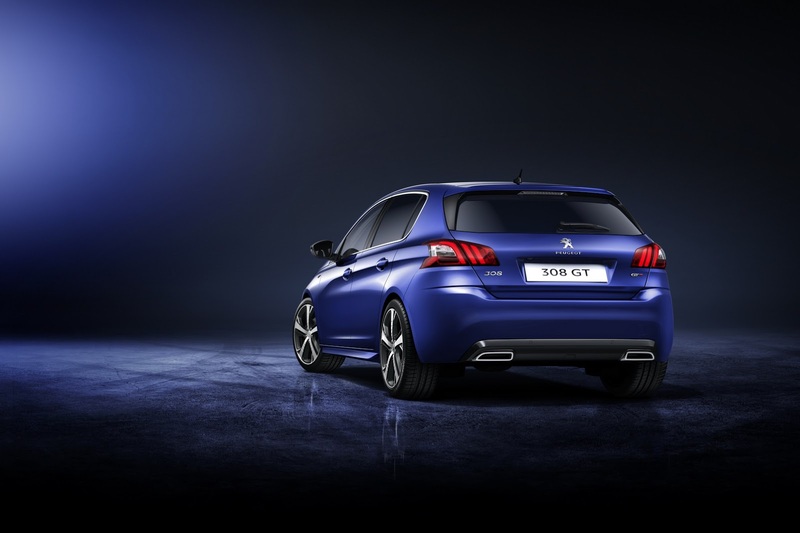 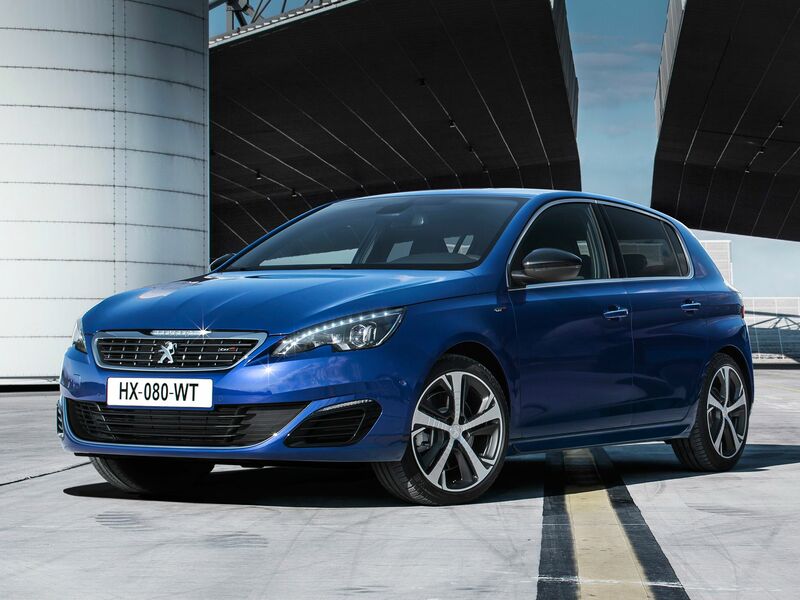 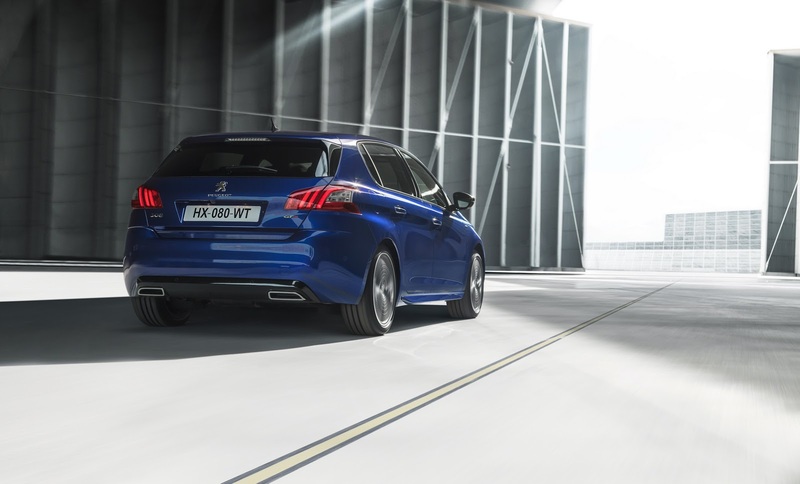 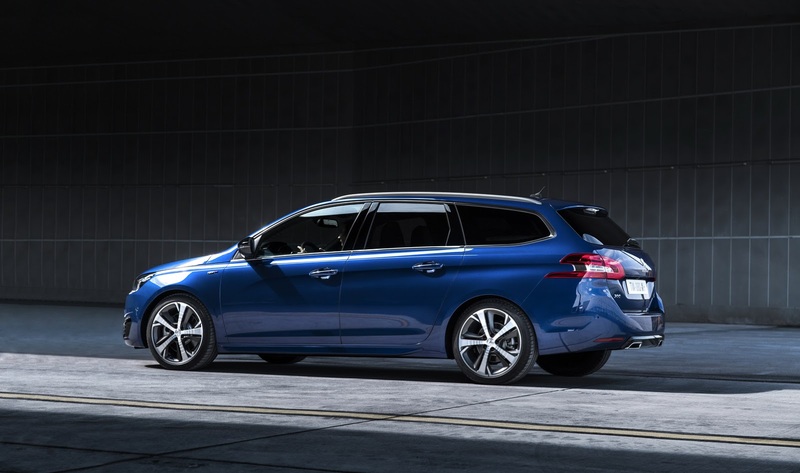 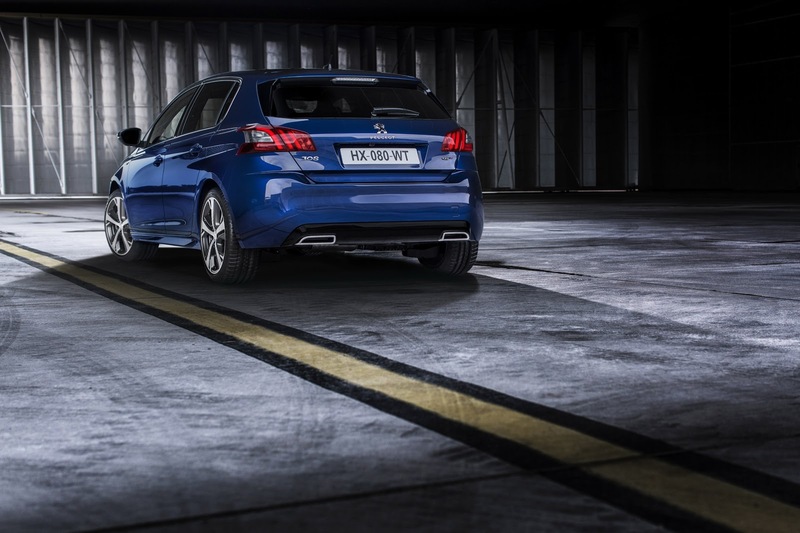 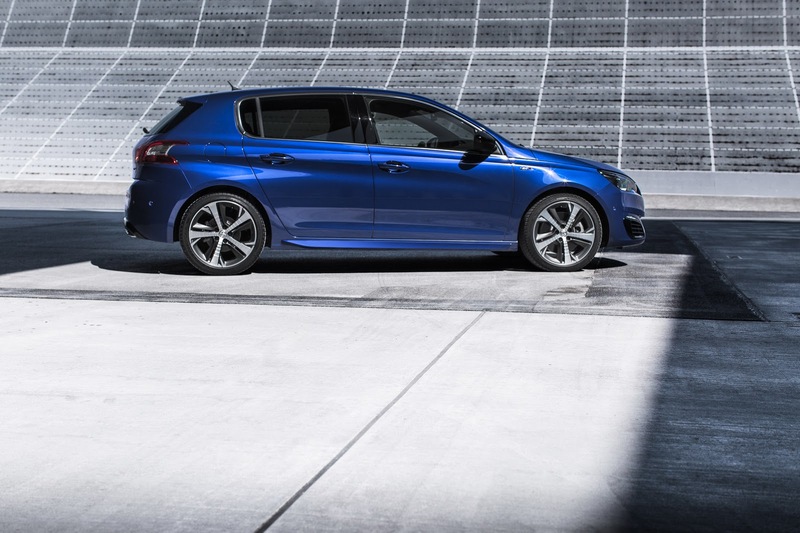 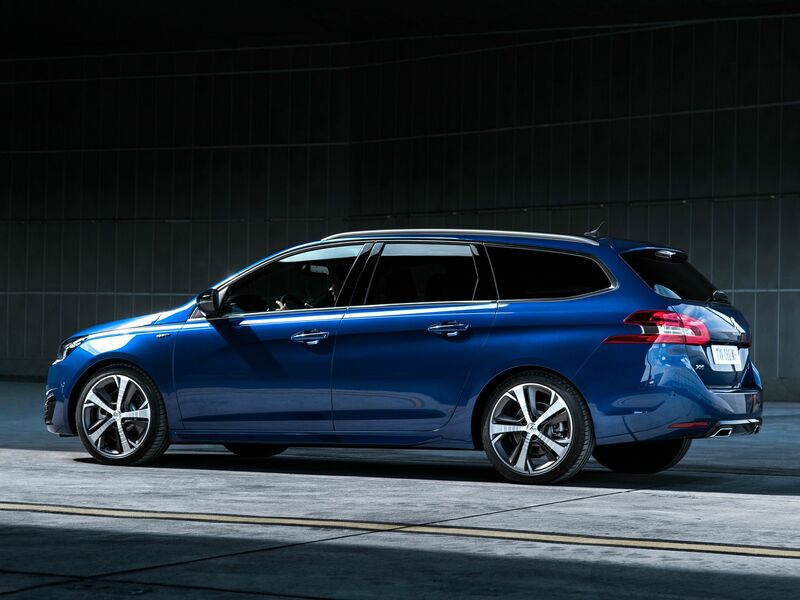 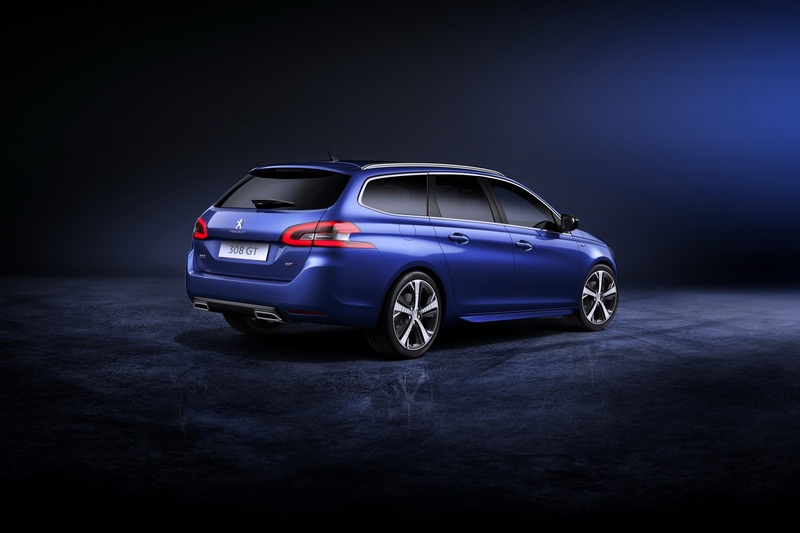 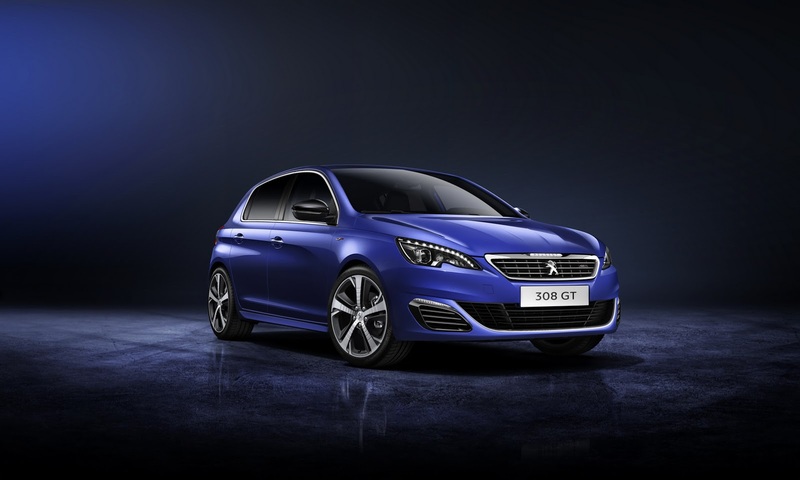 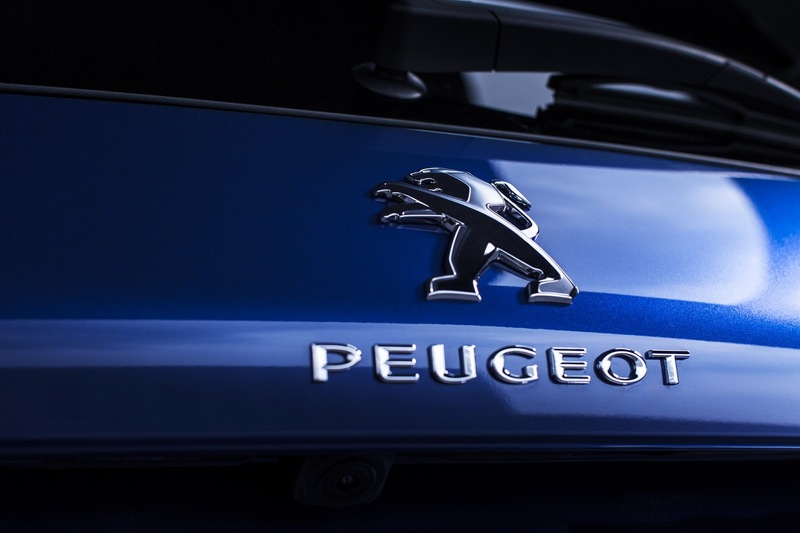 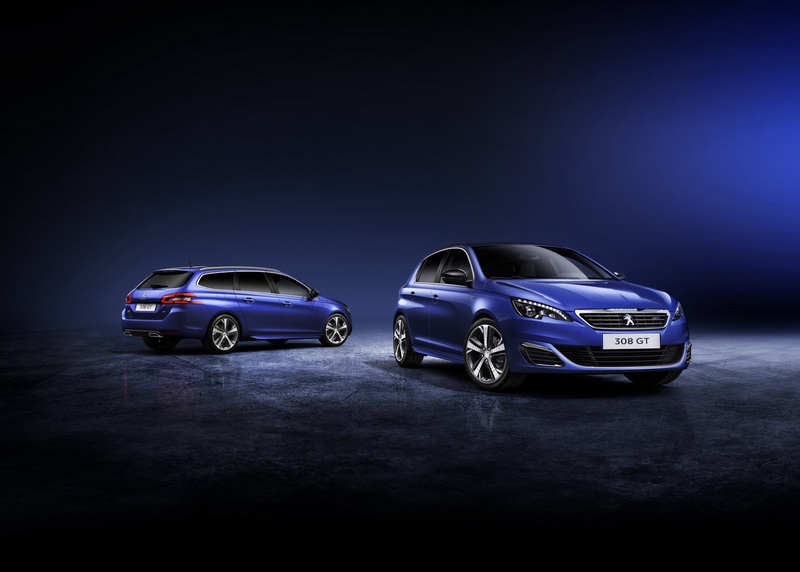 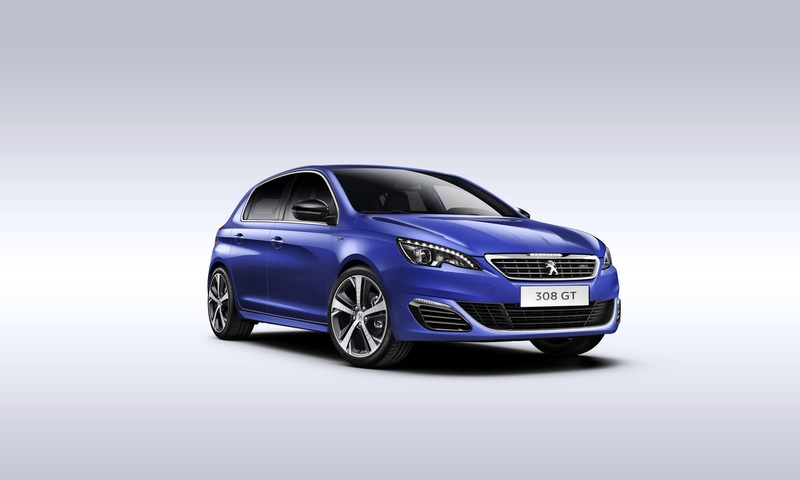 The PEUGEOT 308 and 308 SW have seen commercial success with 146 000 units ordered by the end of August. 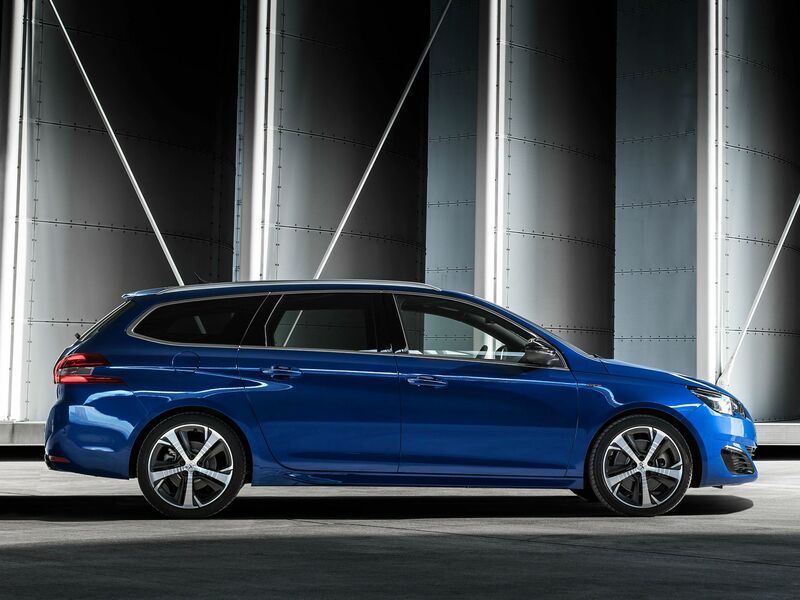 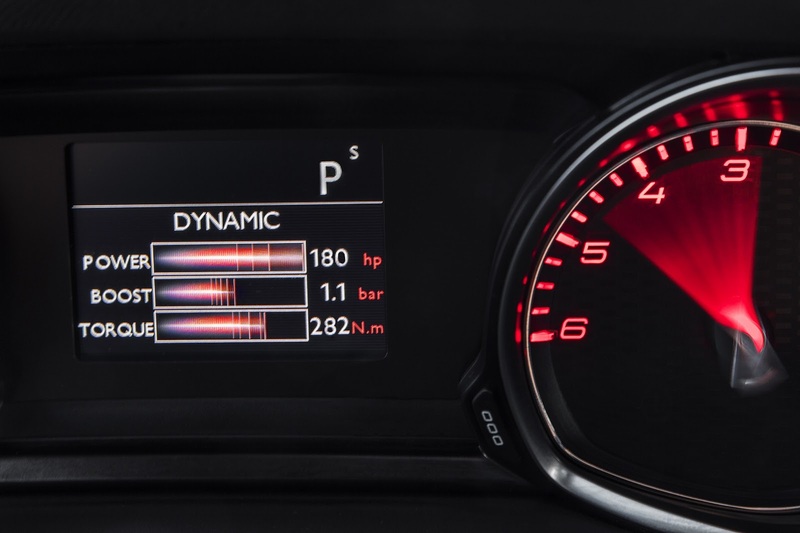 This positive result is due largely to their design, their perceived quality, their innovative i-Cockpit and their efficiency, with record fuel economy and low emissions.Following this excellent performance, the 308 range welcomes two dynamic new versions and on both Hatchback and SW body styles. 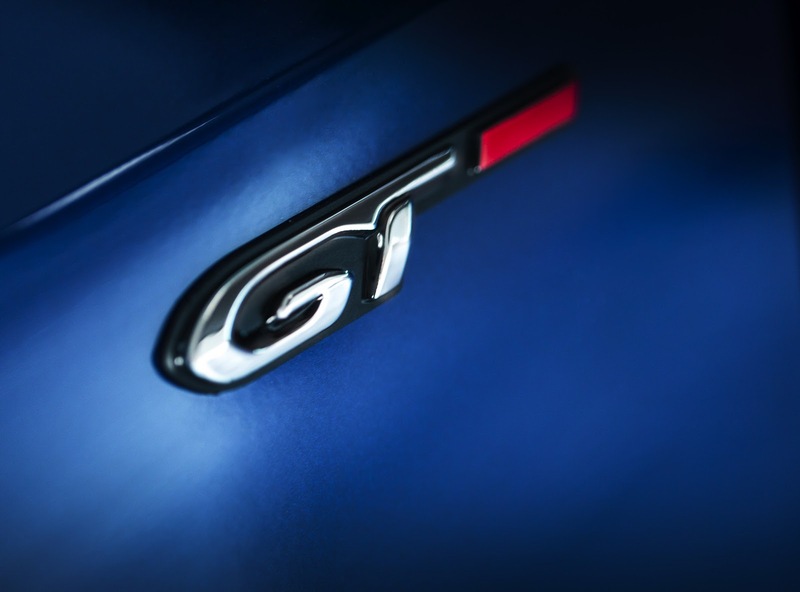 They embody the Brand’s continued move up-market strategy, highlighted by this year’s 2014 Car of the Year award.Behind the wheel of these new versions, whether the GT 205 or GT 180 fitted with the 1.6-litre THP 205 Stop&Start 6-speed manual and the 2.0-litre BlueHDi 180 EAT6 engines respectively, drivers will appreciate the assertive styling and remarkable performance of these vehicles, as well as the exceptional driving experience and reduced level of fuel consumption.The 308 GT is sure to cause a stir among motoring enthusiasts. 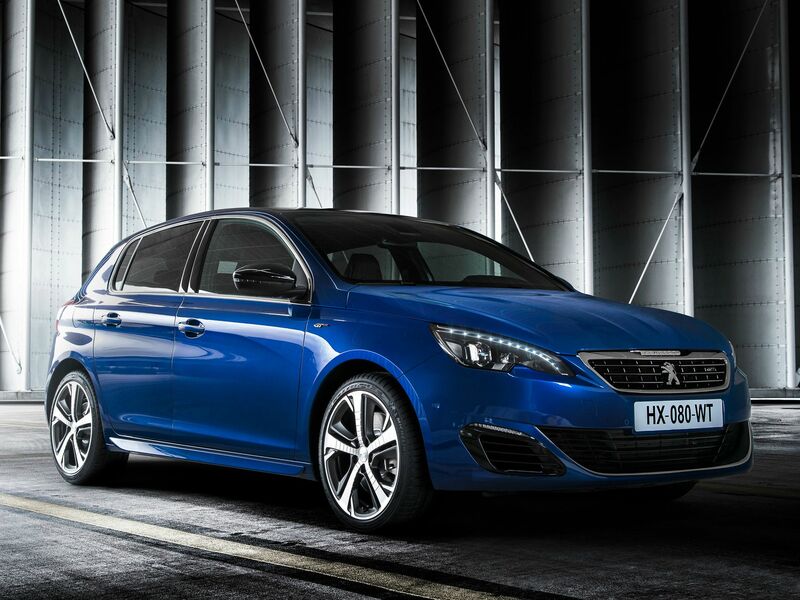 The 308 GT’s uniqueness is immediately apparent and attracts attention. 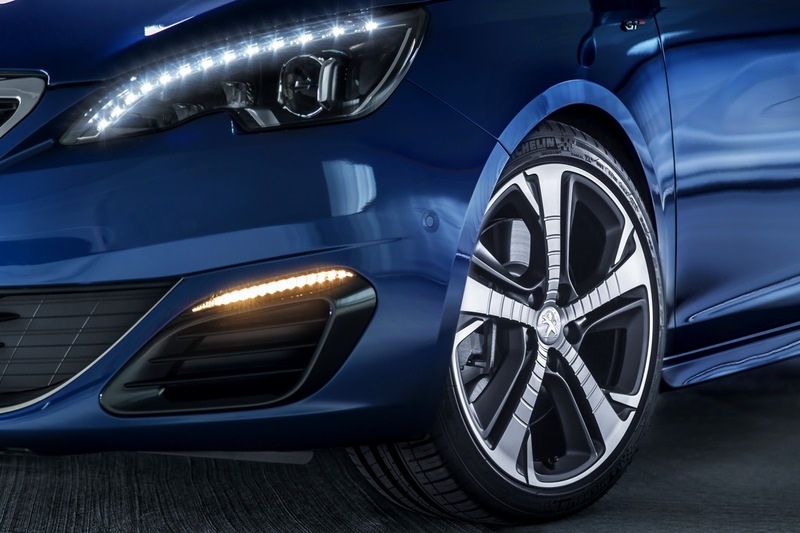 The front end of this dynamic version now houses the lion in the grille with three horizontal blades on either side of the emblem and LED lighting used throughout. 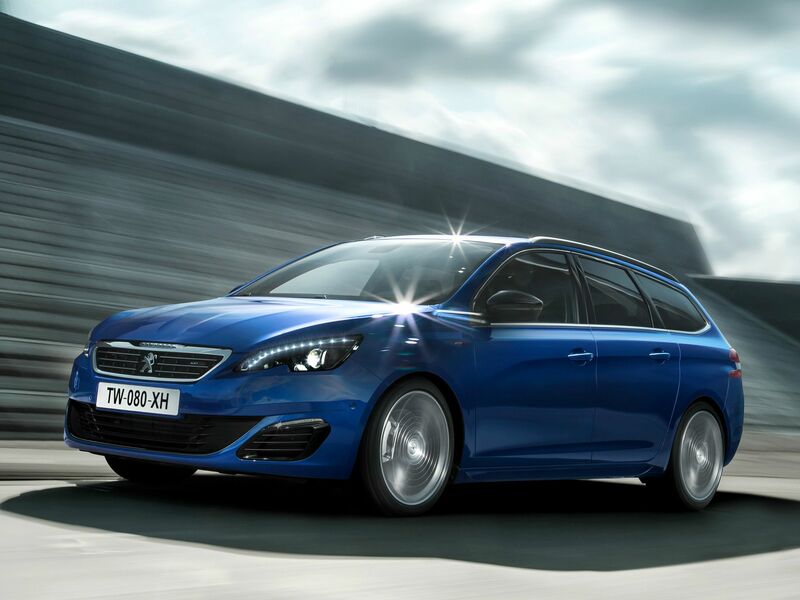 For optimum vision in all circumstances, the 308 GT has been fitted with top of the range headlights made up of elements containing 62 LEDs.Exclusive direction indicators also distinguish the 308 GT. 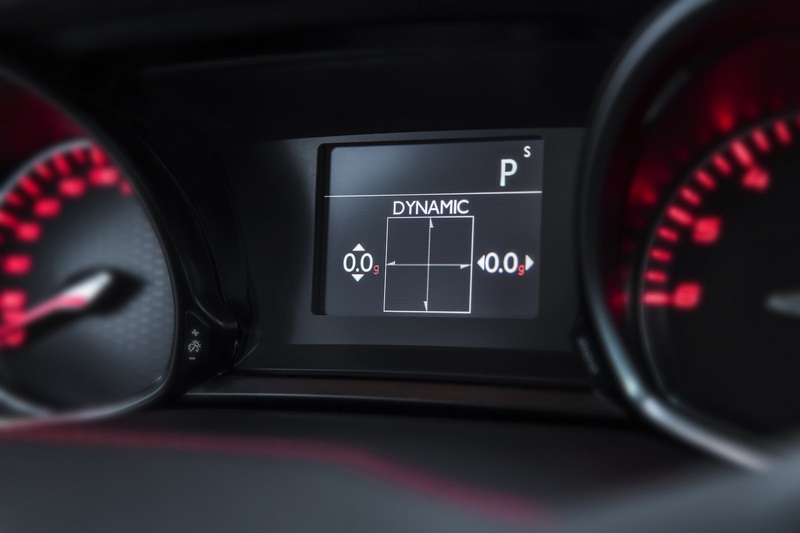 Their dynamic sequential operation, from the inside towards the outside, emphasise the technological identity of the car. 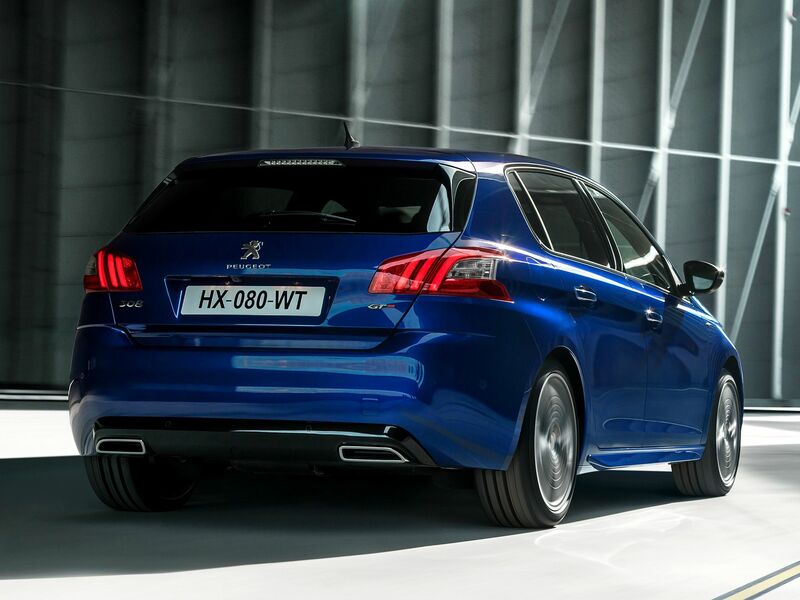 They are placed above the new air scoops which supply the engine with additional air.The 308 GT presents a great aerodynamic and stylistic purity. 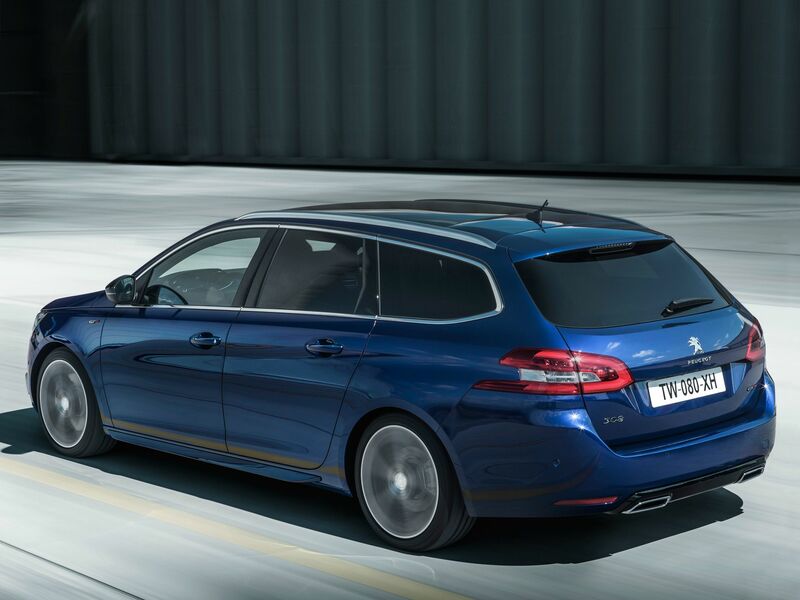 The black lacquered rear view mirrors merge with the tinted windows. 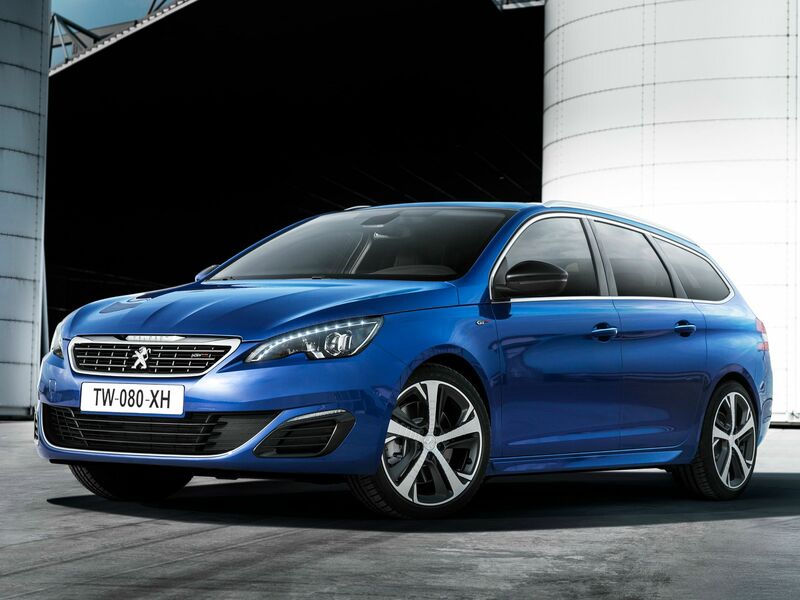 Visibly widened by its sill finishers, the 308 GT sits on 18’’ diamond wheels shod with Michelin Pilot Sport 3 tyres. 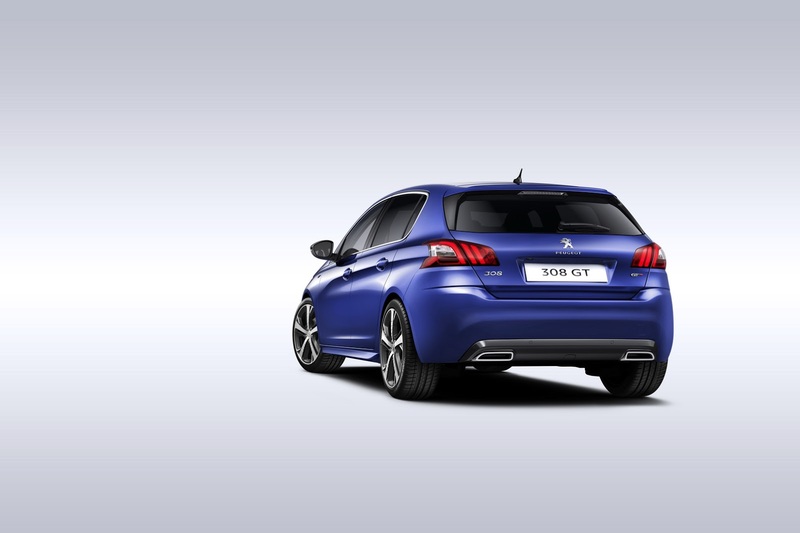 Baptised ‘Diamant’, these dual-aspect wheels are exclusive to the 308 GT with their fluted spokes and engraved motif.From behind, the 308 GT is striking for its posture, particularly due to the lacquered black diffuser and decorative twin tail pipes. 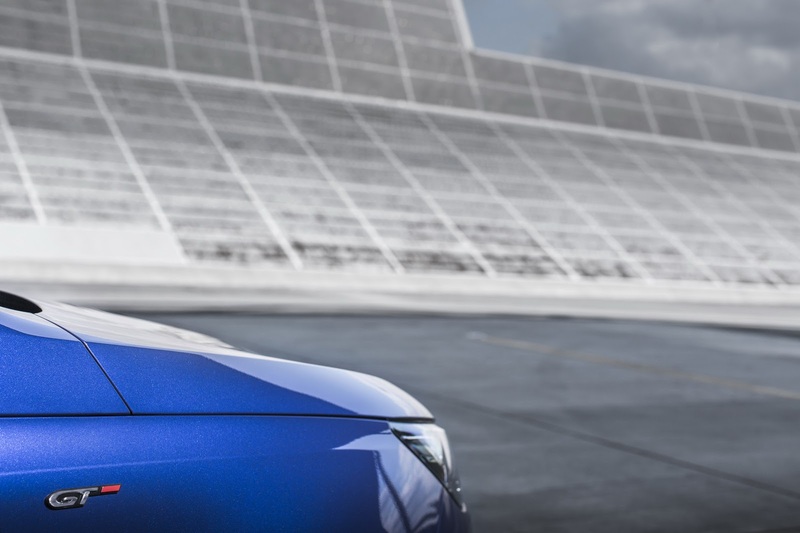 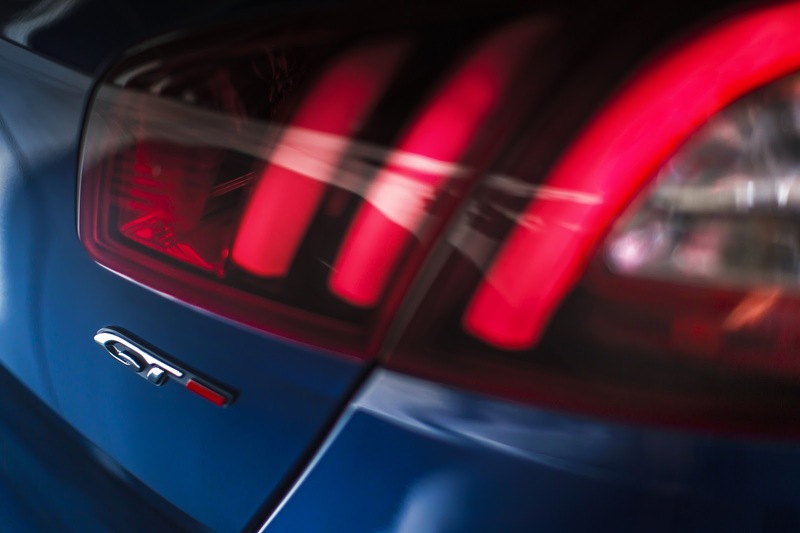 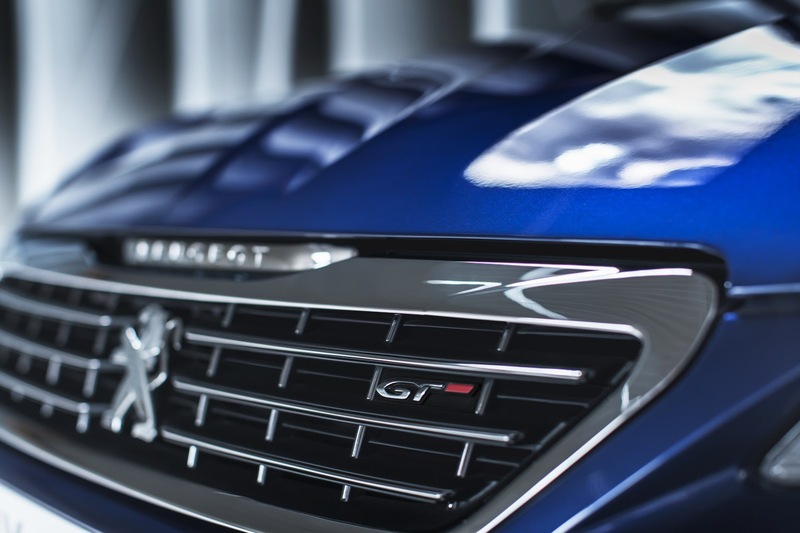 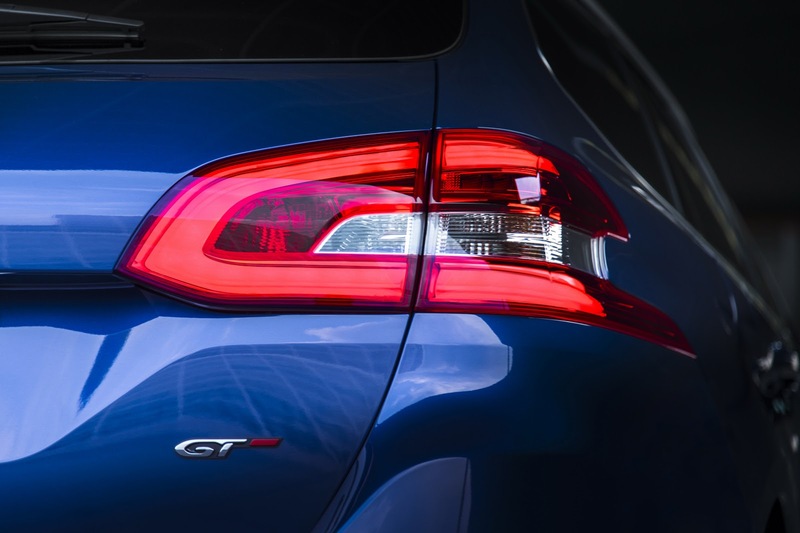 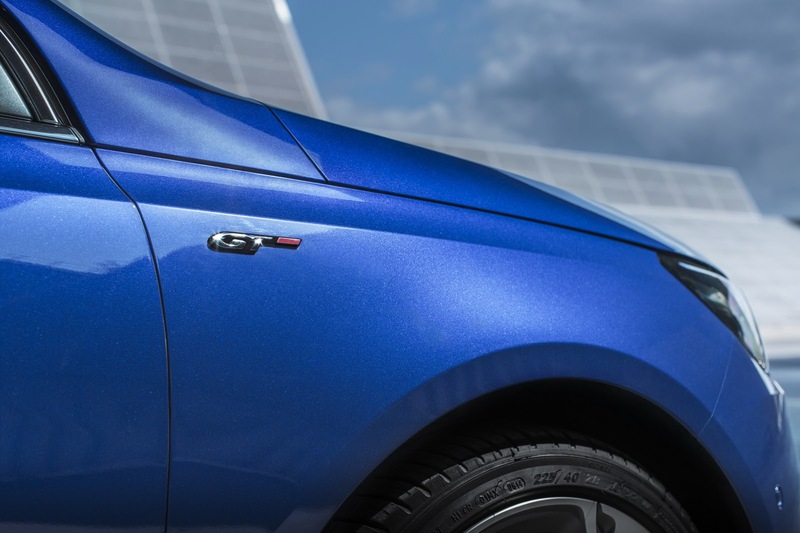 The GT signature is integrated in the grill, the tailgate and the front wheel panels.The range of colours for the 308 GT includes the new and exclusive Magnetic Blue. 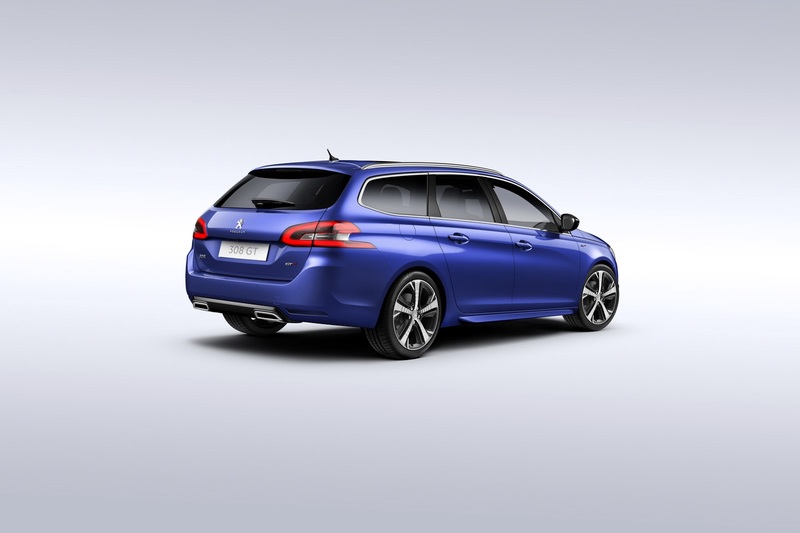 Evocative of the blue reserved historically for French competition vehicles, this colour suits the car’s fluid and dynamic lines, emphasising its ride height, lowered by 7mm at the front and 10mm at the rear.An exclusive ambiance is also achieved within the cabin. 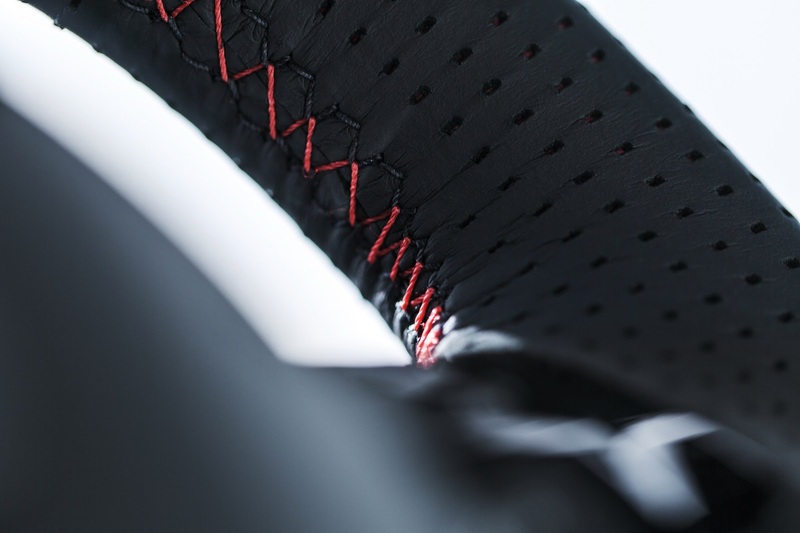 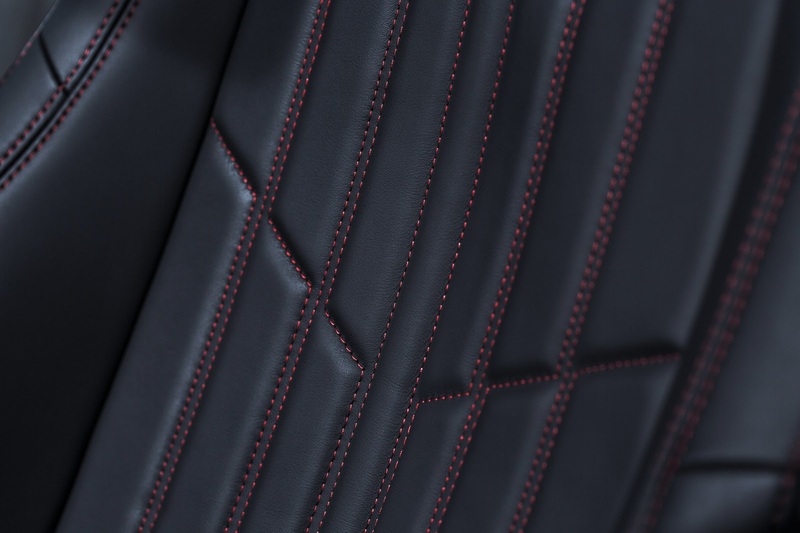 Based on the fundamentals of a sports interior, both roof lining and upper window pillars are finished in anthracite colour along with red stitching punctuating the upholstery trim and TEP / Alcantara as standard or Club Nappa leather as an option. 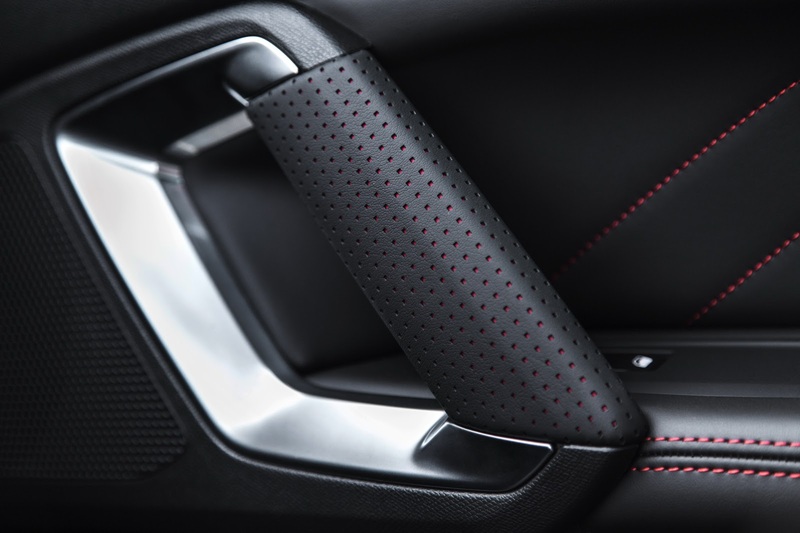 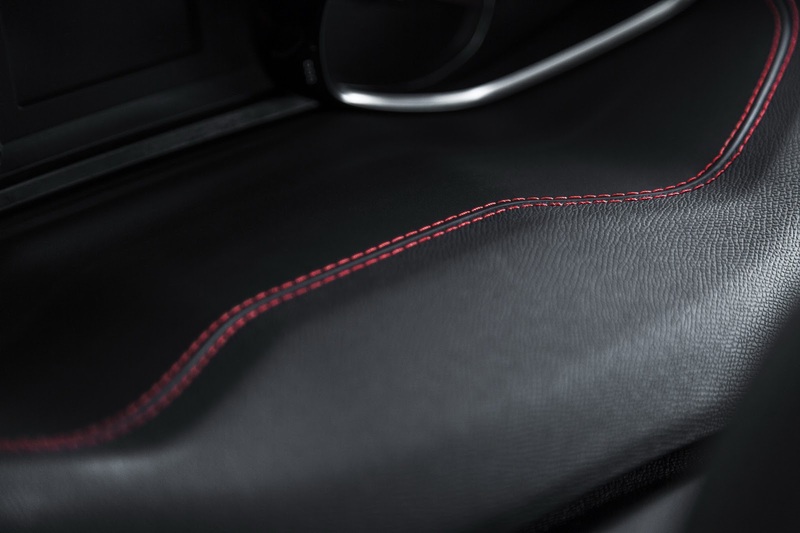 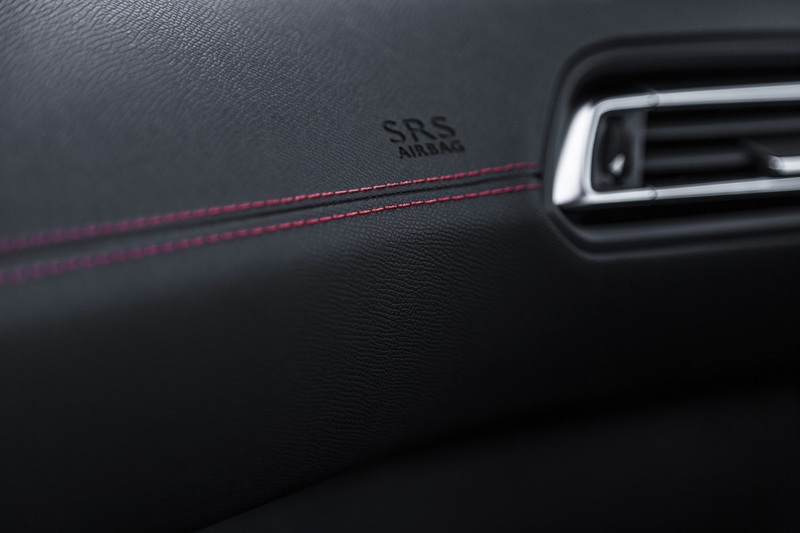 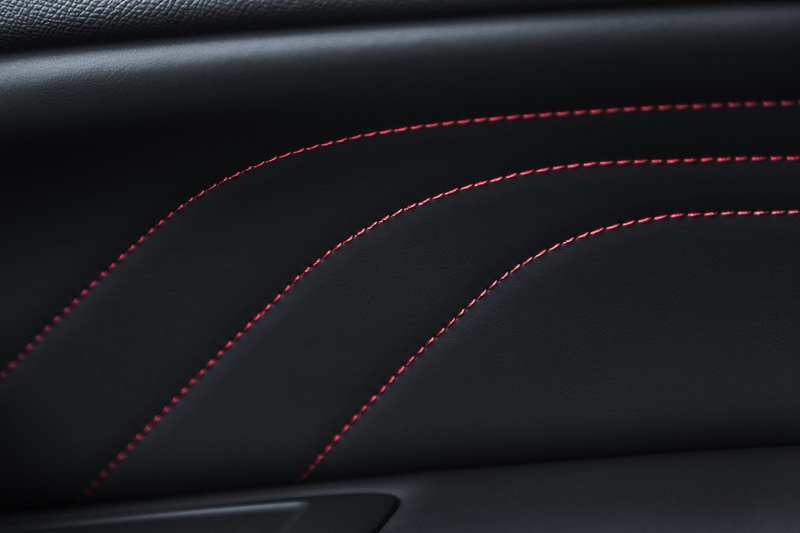 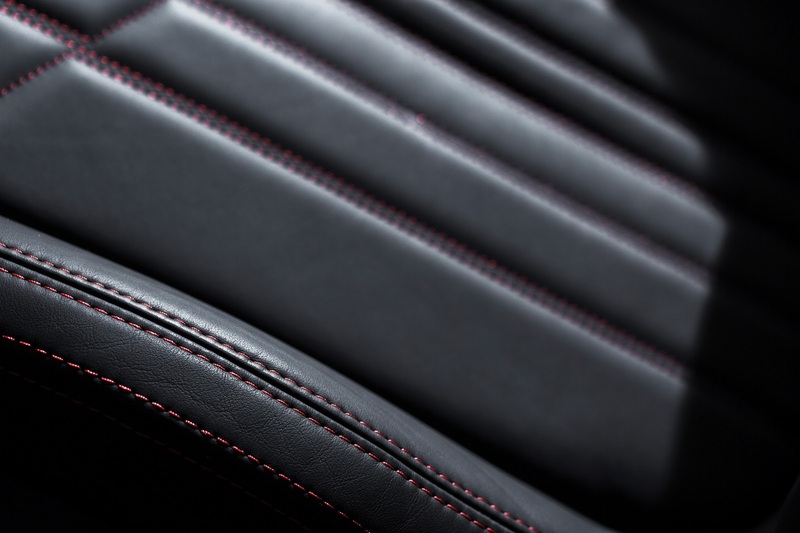 Red stitching is also found on the dashboard, door panels, gear lever gaiter and on the floor mats. 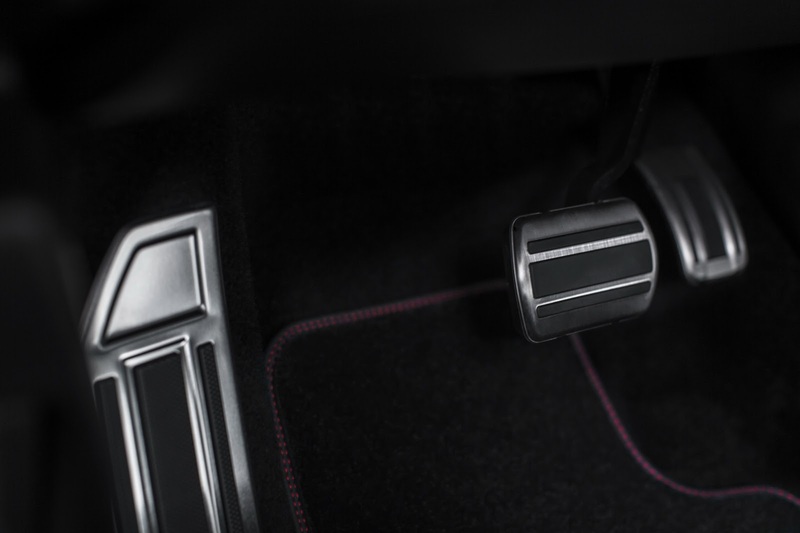 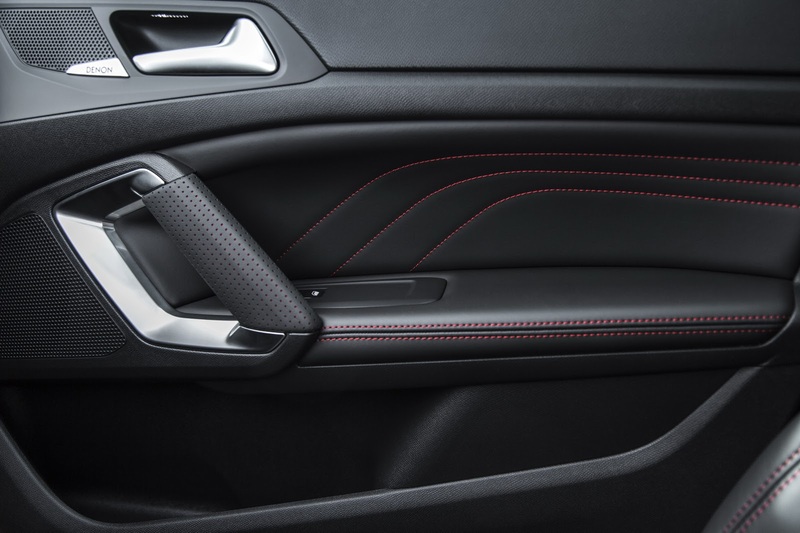 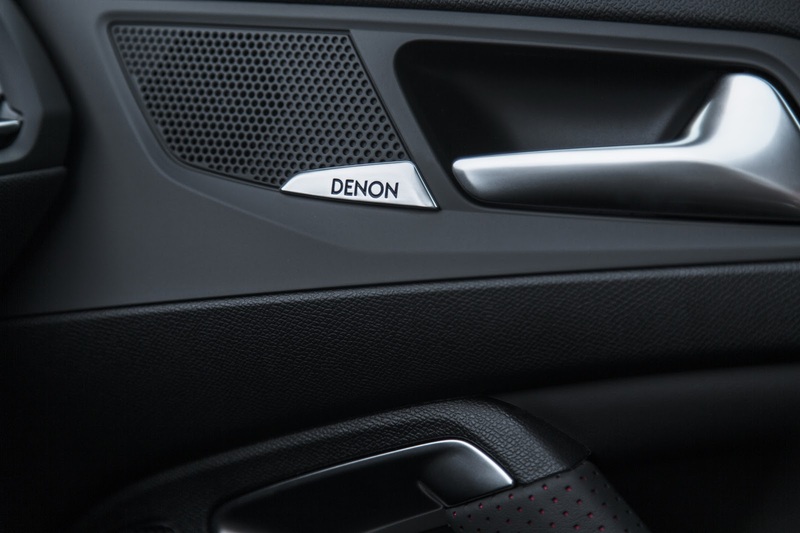 The mechanical dimension is represented by aluminium on the pedals and stainless steel sill finishers in the door apertures.Fundamental in a sporty car, the driving position is ideal due to the ergonomics of the PEUGEOT i-Cockpit. 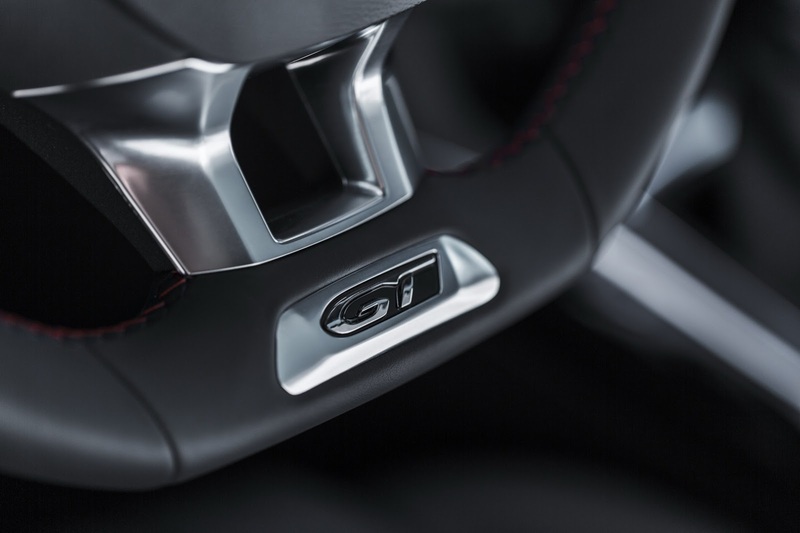 The driver can adjust the height and reach of the compact steering wheel, unique with its perforated leather trim and GT badge. 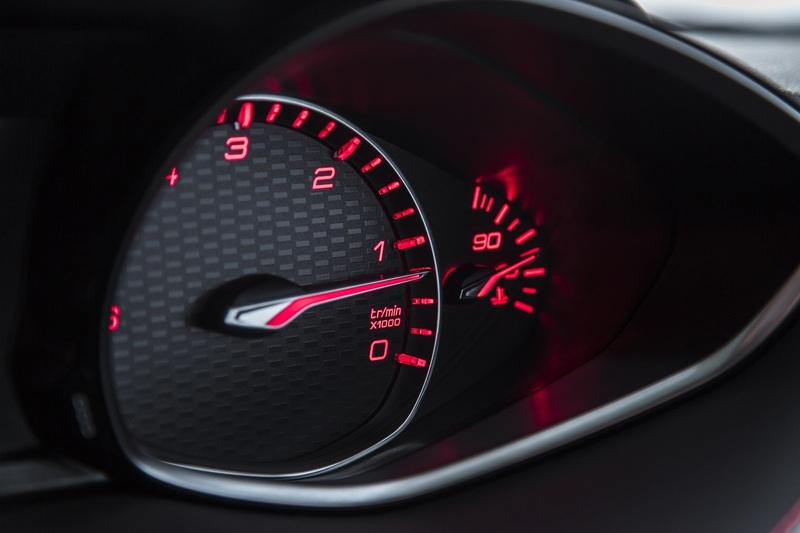 Within the field of vision, theinstrument panel bears a new chequered flag motif background. 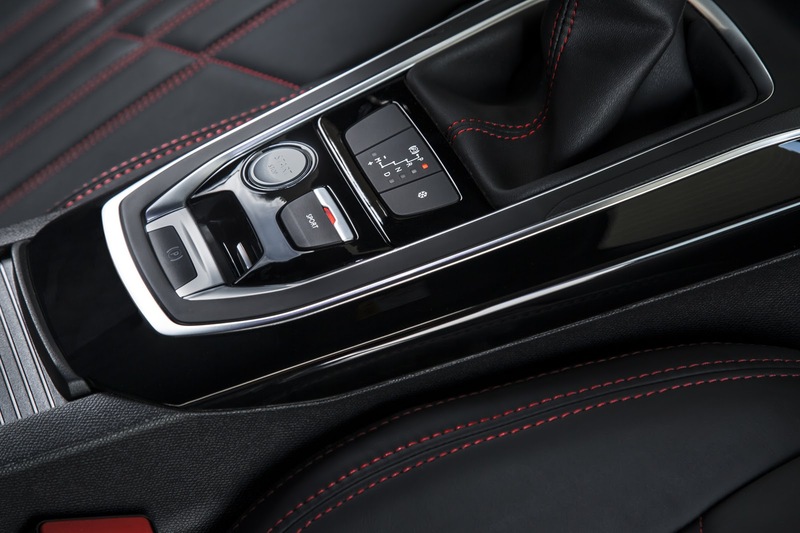 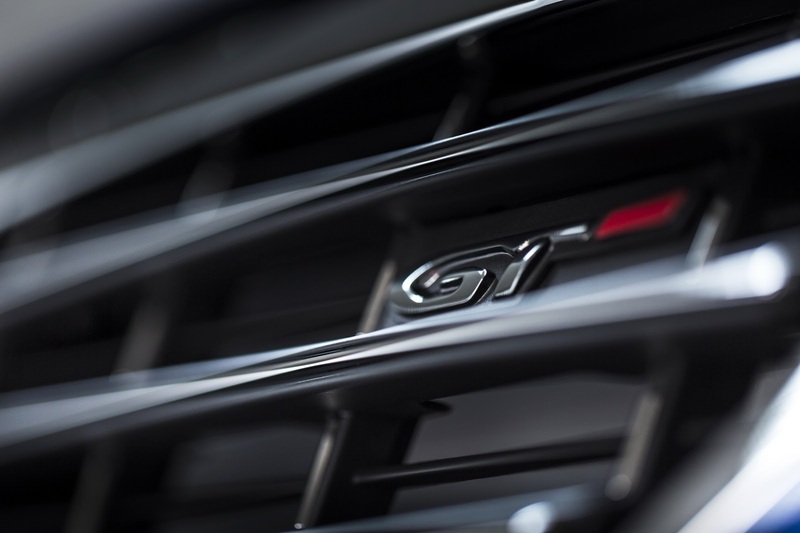 On switching on the ignition, the driver is welcomed with a GT message and to complement this, the large touch screen displays a new colour scheme dominated by red and black, titled Redline. 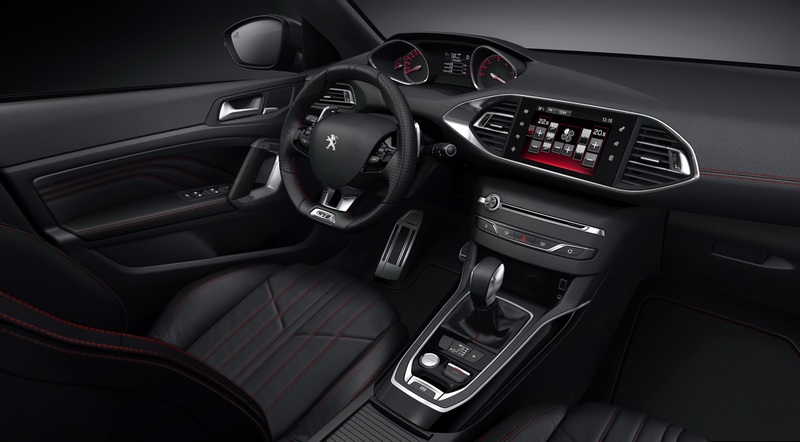 At one with the PEUGEOT i-Cockpit, the driver is at the centre of the sensations delivered by the compact steering wheel and the head-up instrumentation. 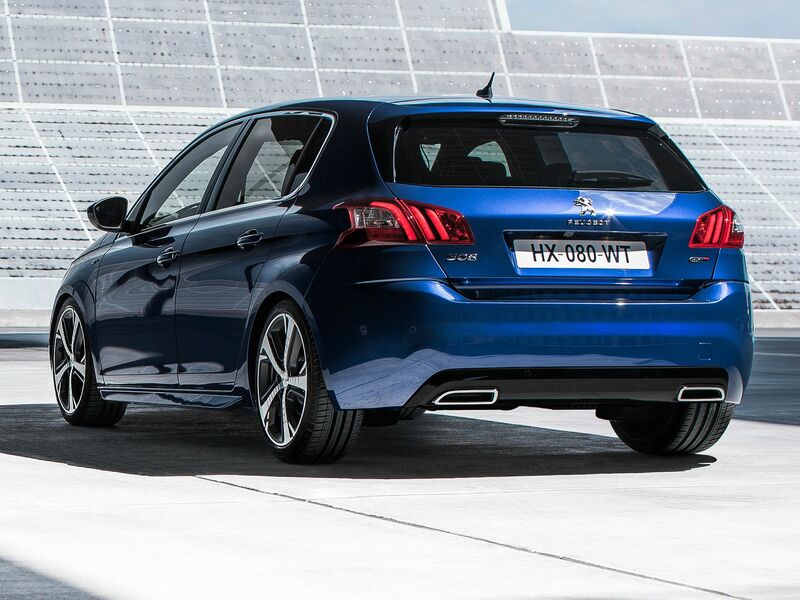 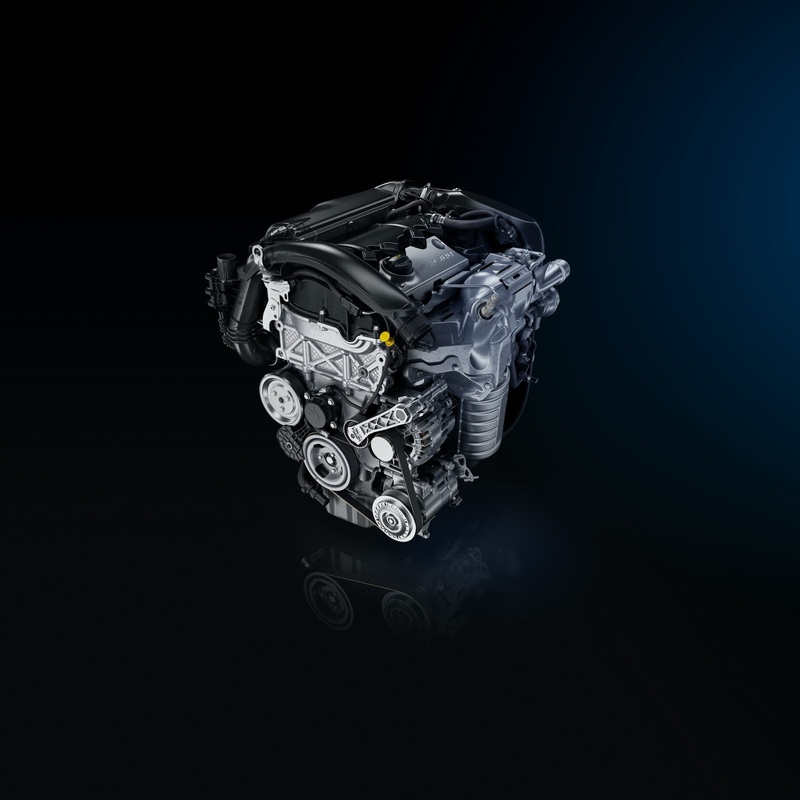 Pleasure is amplified by the Driver Sport Pack, standard with both engines. 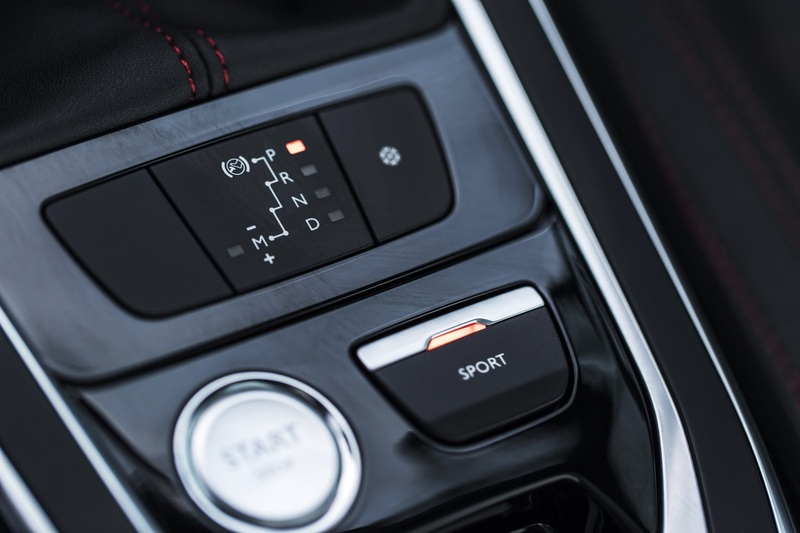 This equipment delights the senses of the sporty motoring enthusiast by modifying the following parameters:- amplified and more sporty engine noise;- instruments illuminated with red display;- instrument panel displays the power and torque delivered, turbo pressure, longitudinal and transverse acceleration;- firmer and more responsive power steering;- more responsive accelerator pedal mapping;- more responsive operation of the EAT6 gearbox;- steering mounted paddles with the EAT6.The driver can choose to turn off the Driver Sport Pack setting for a more comfort-orientated drive, using a button on the centre console.To make the most of its character, the new GT offers various driving assistance systems.Using radar built into the front of the vehicle, the Driver Assistance Pack includes three systems:- Dynamic Cruise Control: a cruise control that automatically maintains and adjusts the speed of the vehicle to match the speed of the vehicle ahead. 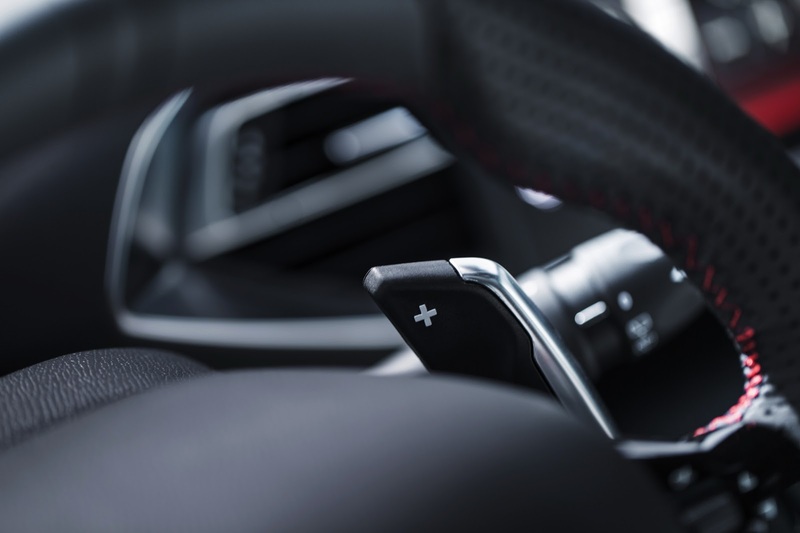 This ‘Dynamic’ function can be switched off by the driver.- Emergency Collision Alert System: a visual and audible indication to encourage the driver to brake to avoid a collision.- Emergency Collision Braking System: early application of the brakes to avoid a collision or reduce its consequences.With the Blind Spot Monitoring System, LEDs in the rear view door mirrors come on to warn the driver that there is a vehicle in the blind spot.Park Assist is an active parking aid allowing automatic parallel or bay parking.The PEUGEOT Connect Apps connected services provide a new driving experience. 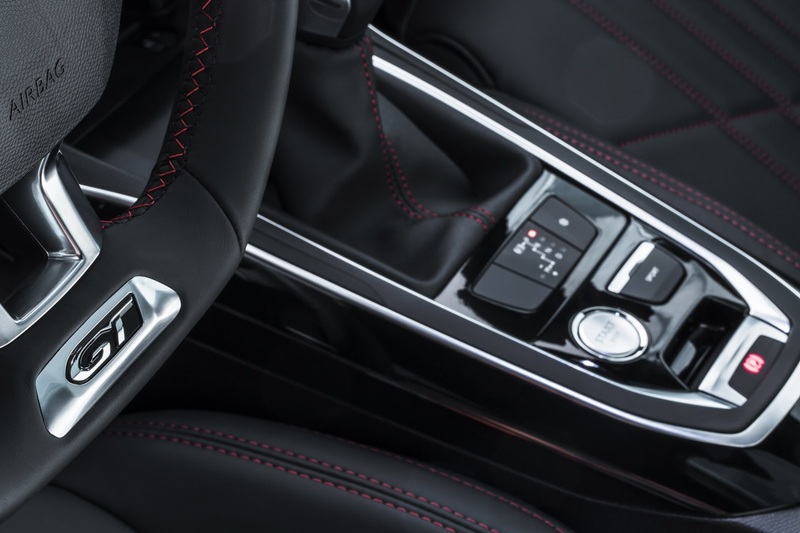 Using a 3G Plug&Play key, this system makes useful information available to the driver in real time: availability of parking spaces, fuel prices, tourist information with the Michelin Guide, weather, as well as traffic conditions with the Coyote application.For security, it is fitted with an alarm including tilt protection. 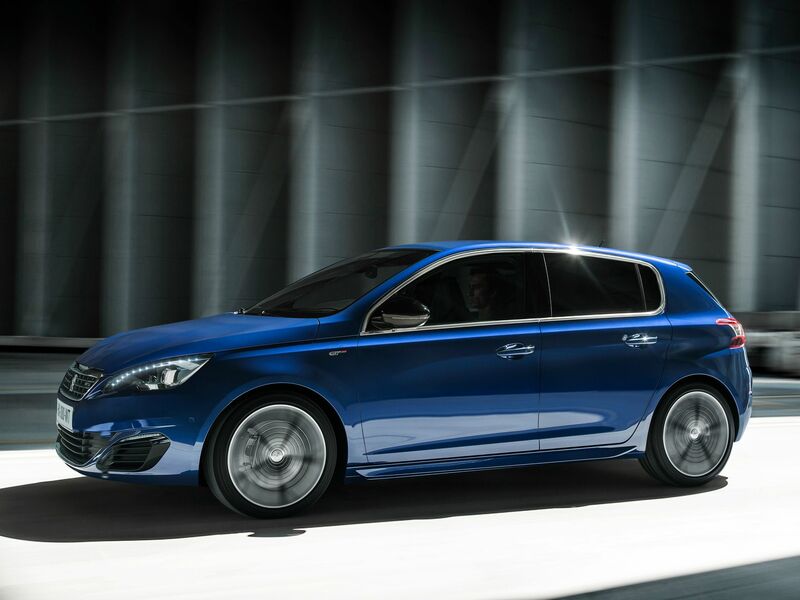 Arriva la GT, sia in versione hatch che SW, equipaggiata con il 1.6 THP da 205Cv o un 2.0 BlueHDi da 180Cv. 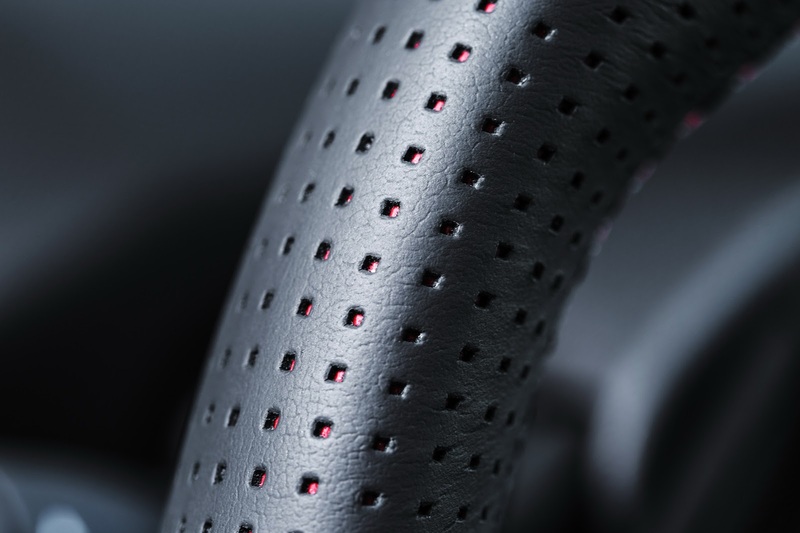 Guardate un po' chi è tornato al suo posto? ultimamente ho imparato ad apprezzare la 308 (soprattutto la SW) e con lo stemma nuovamente nella calandra le cose migliorano di un bel po'. Ti quoto alla grande. 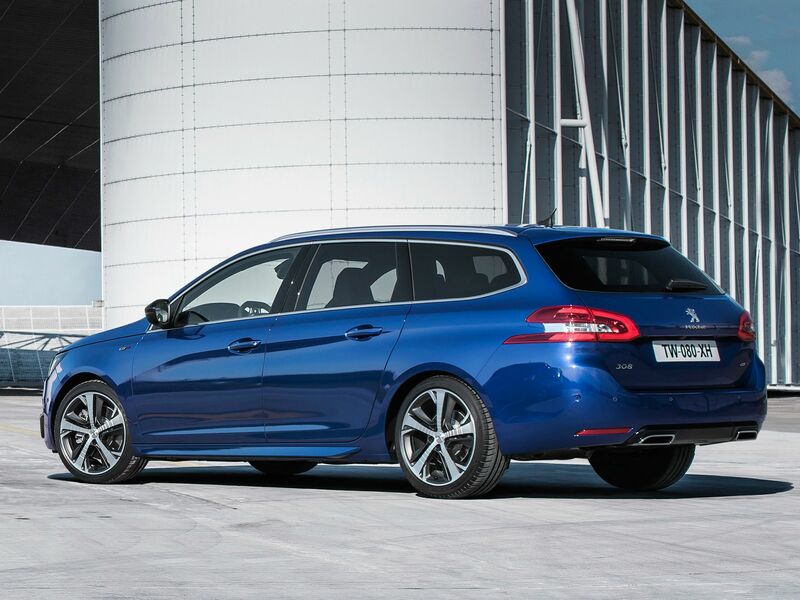 La linea è terribilmente Golf. 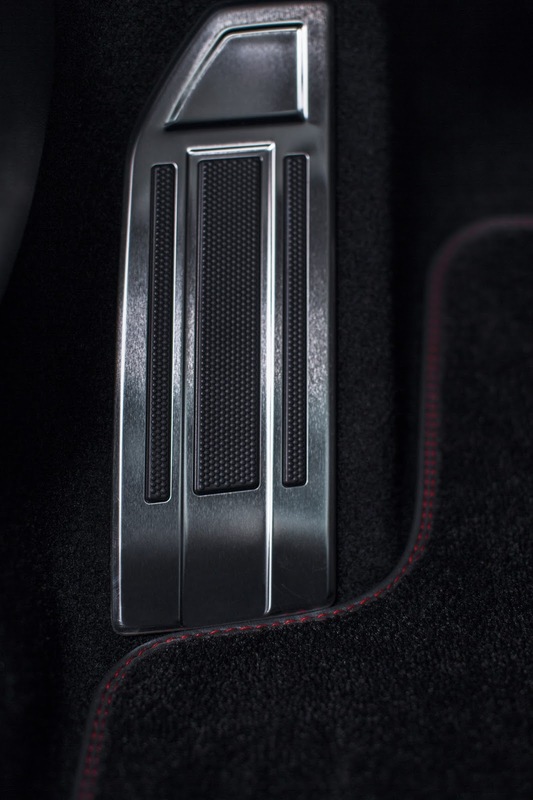 Punto. 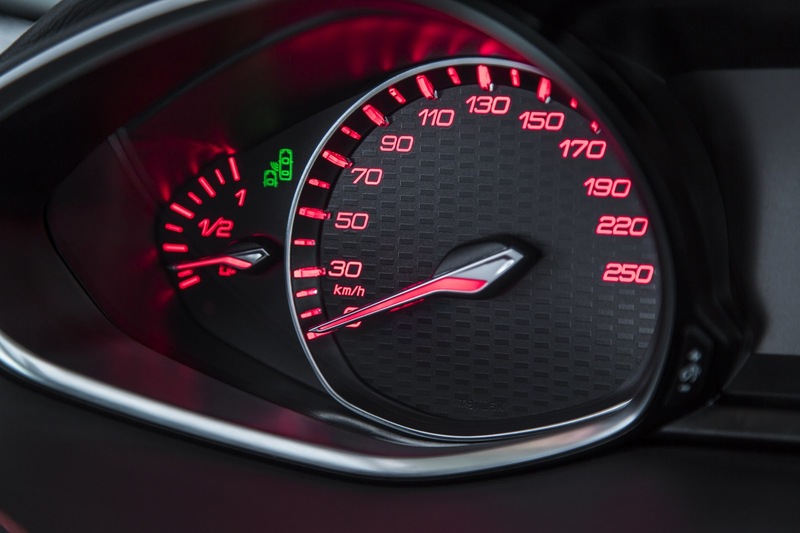 Tempo fa sono stato in concessionaria per provarla e ho avuto non pochi problemi a dovermi regolare il volante e il sedile pur di riuscire a vedere come Dio comanda il contachilometri...è assurdo: a primo impatto una persona che si siede a guidare DEVE avere già tutto sotto controllo. 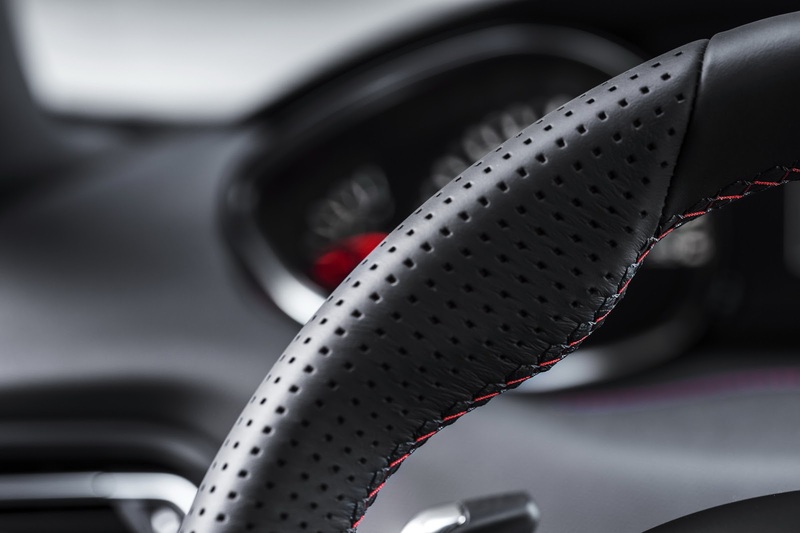 Anche a me non piaceva granchè all'inizio, ma col tempo e dopo averla vista dal vivo ho imparato ad apprezzarla. 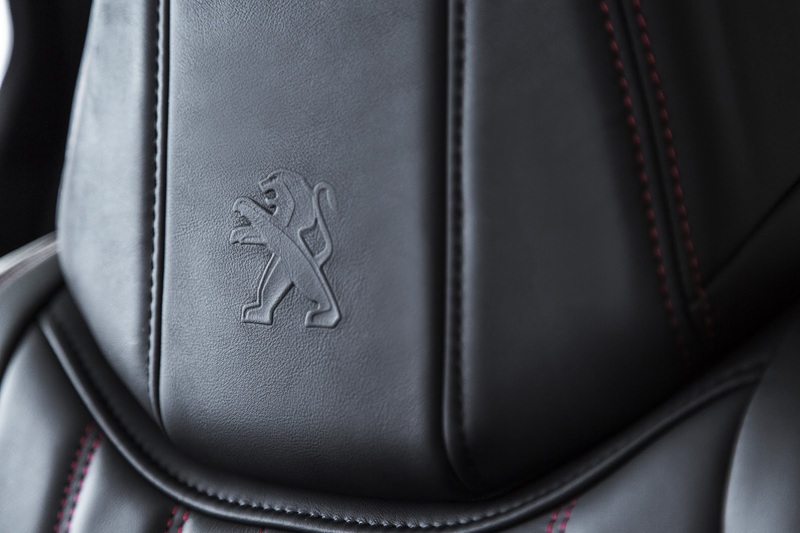 Ottimo il ritorno del Leone nella mascherina. 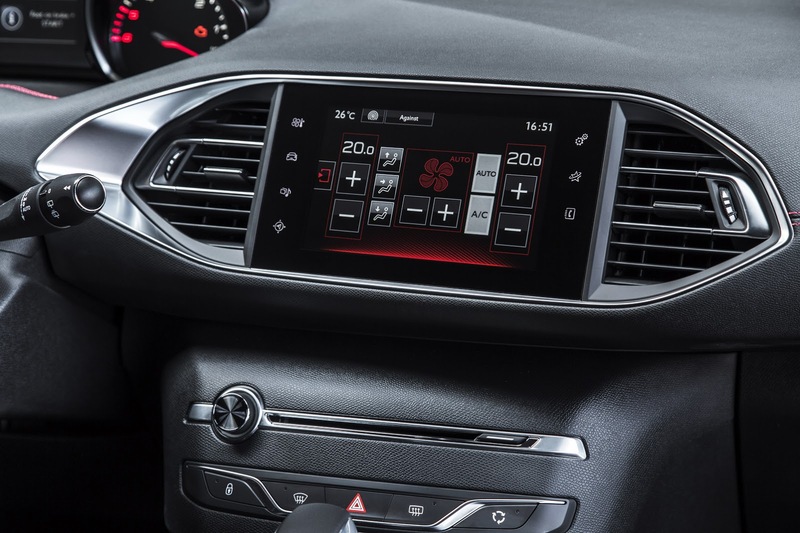 Considerato che questa arriva a 205 ronzini, quanti ne avrà la GTI? 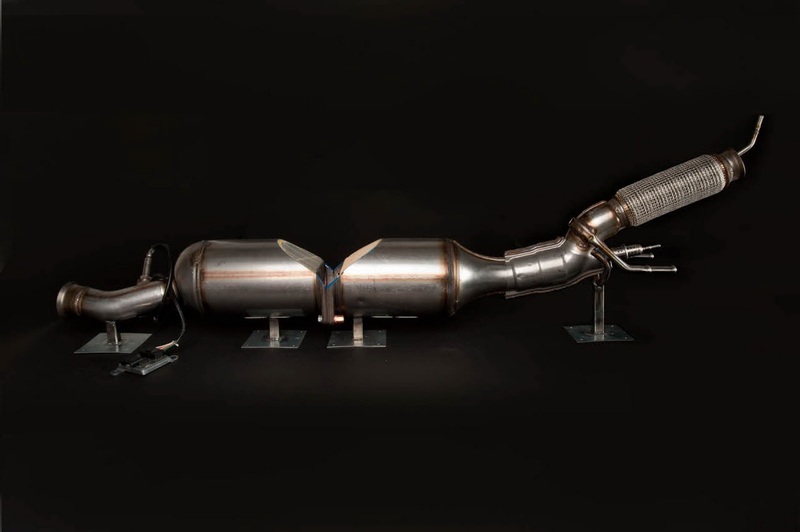 Immagino una trentina di cavalli in più, supposto che arrivi con certezza. 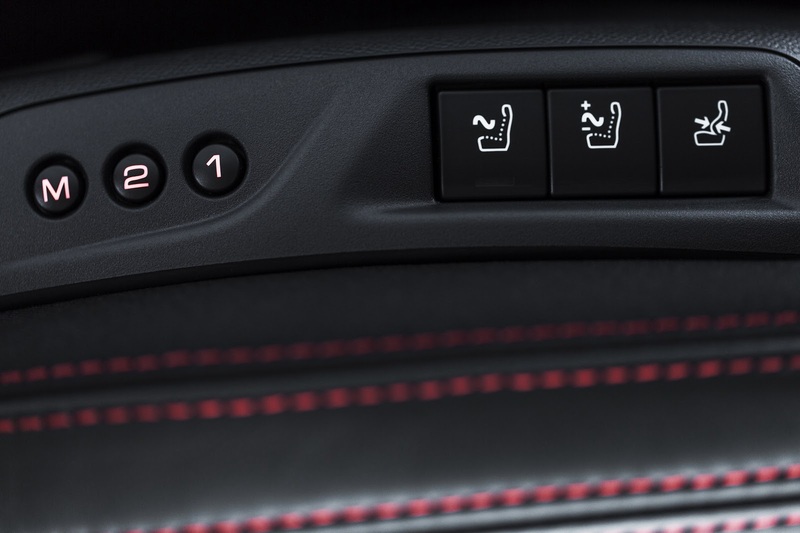 Non mi sento dire che è "brutta", però mi lascia perplesso. 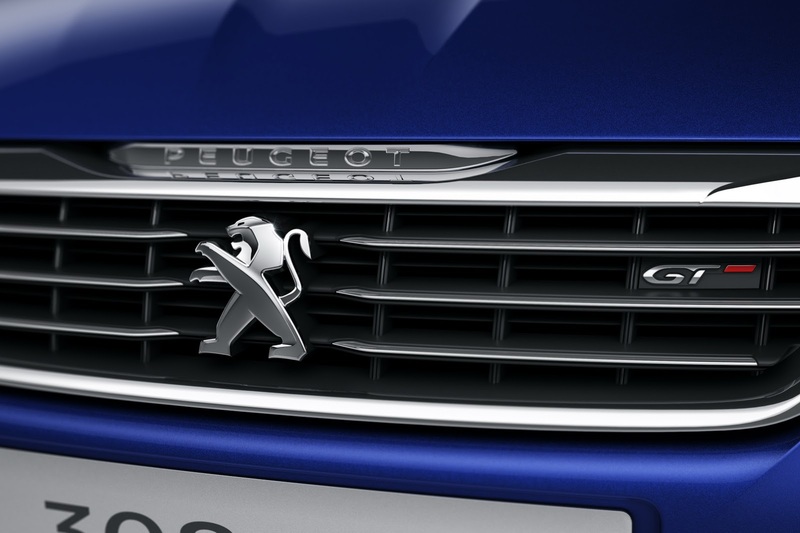 Il nuovo barocchismo Peugeot non mi piace per niente, ecco. 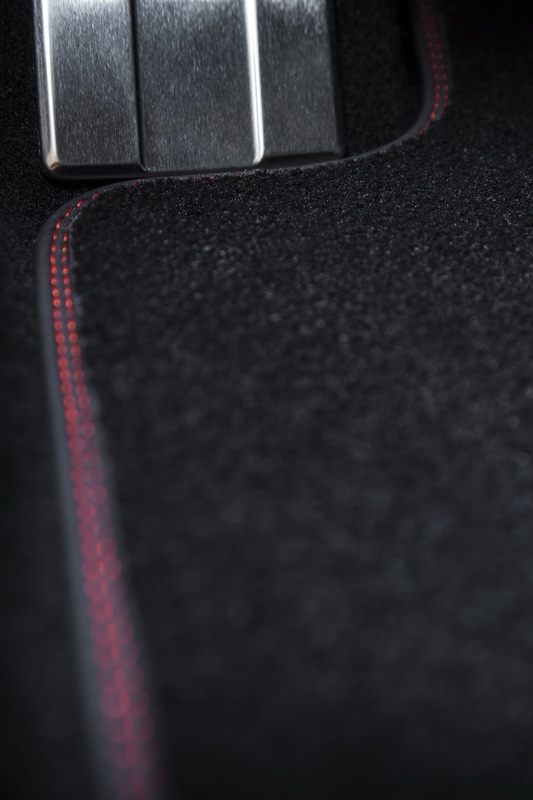 Quelle cromature sul muso e quei decori di led m'infastidiscono. 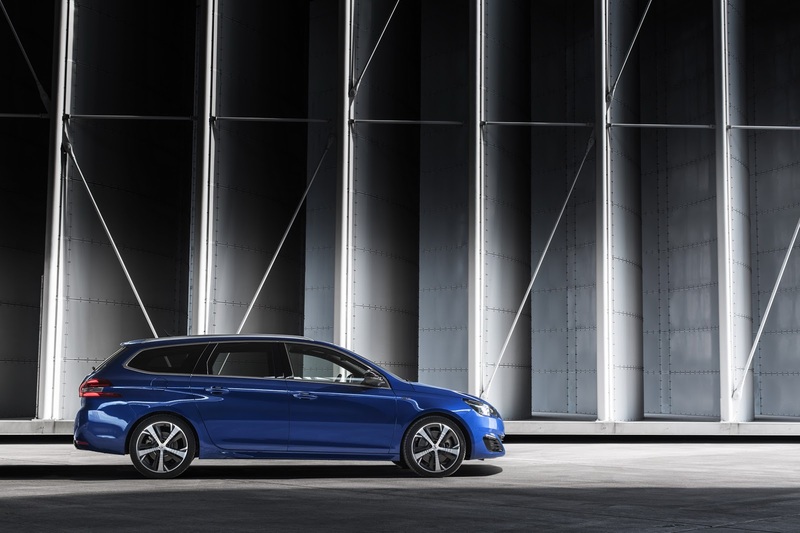 La hatch, poi, sembra già una wagon di per sé! 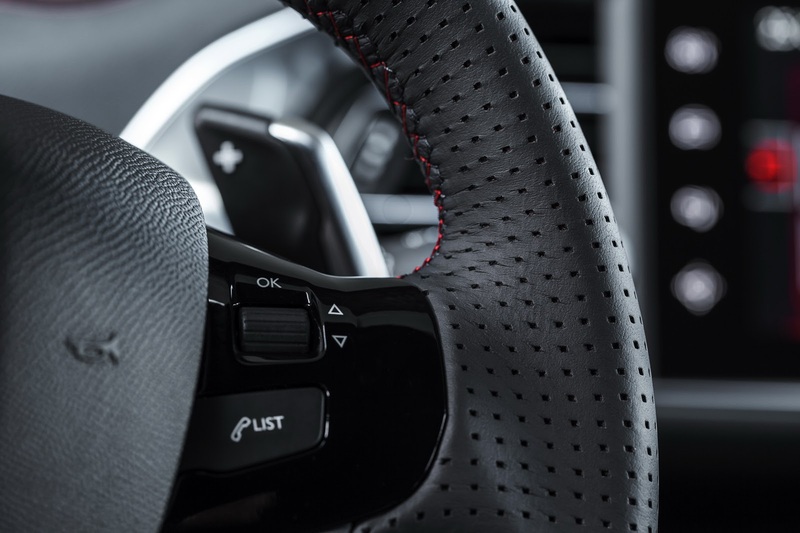 Gli interni sono allo stesso tempo "vuoti", credo per effetto della zona lettore CD e del freno a mano elettronico, e "troppi", per la disposizione di volante, cruscotto e schermo infotinement. 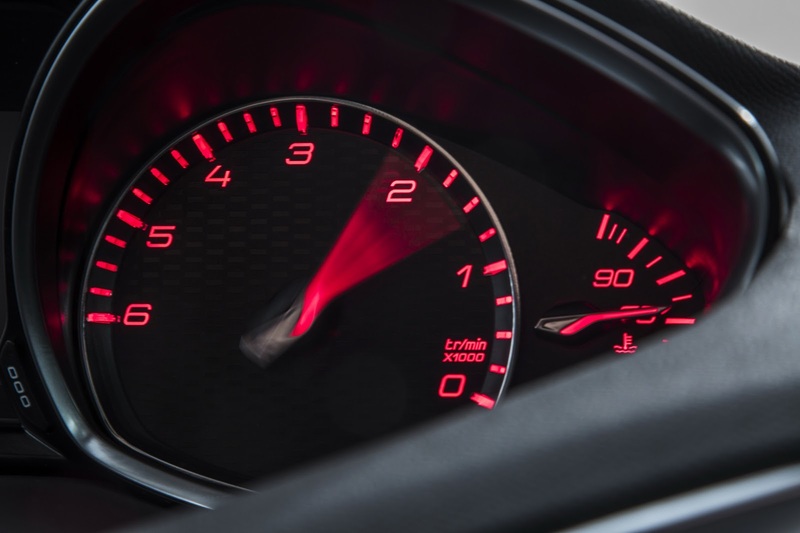 Piuttosto, il 1.6 THP ha ancora i problemi che aveva su Mini o sono ormai risolti? 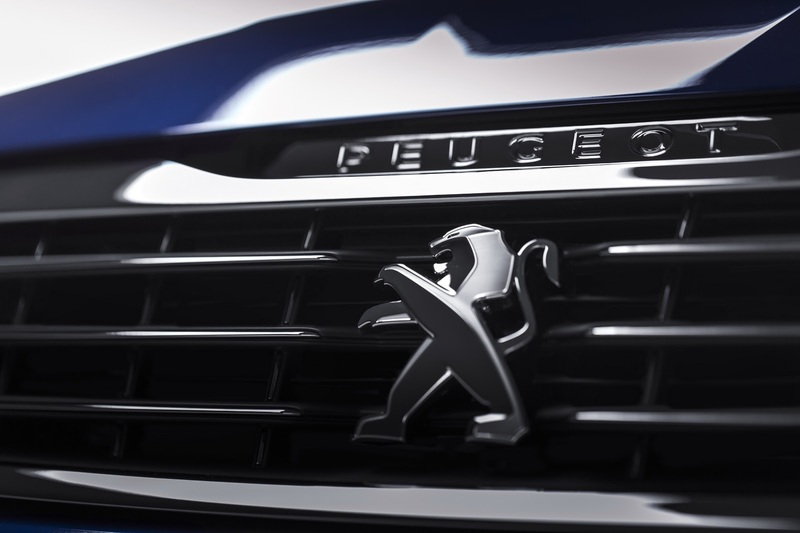 Dopo l'era Pininfarina lo stile Peugeot non mi ha detto più molto. 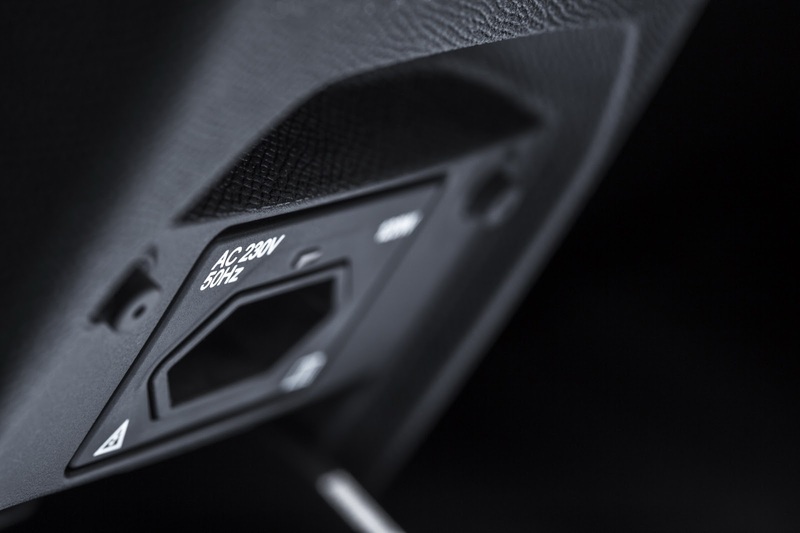 Come si può confrontare questa con la 306, in ambito segmento C ? 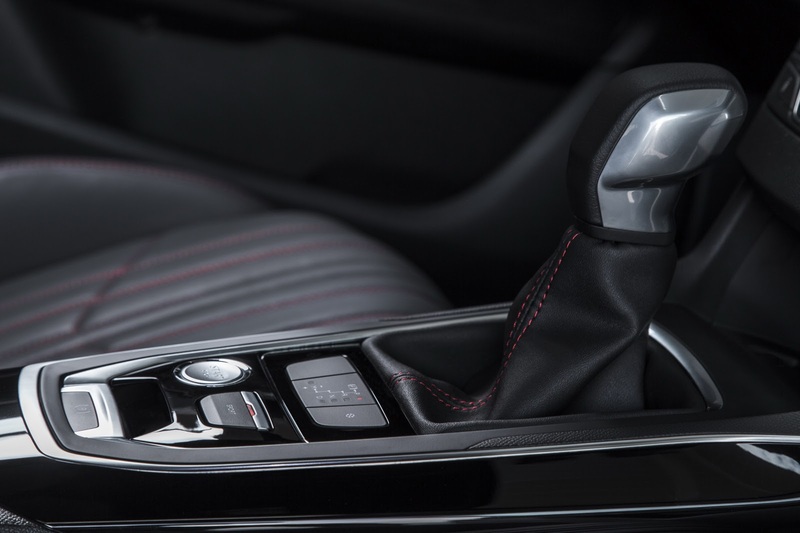 Impossibile, per me ; pur non essendo in assoluto una brutta auto non ha né la grazie né l'eleganza della progenitrice.